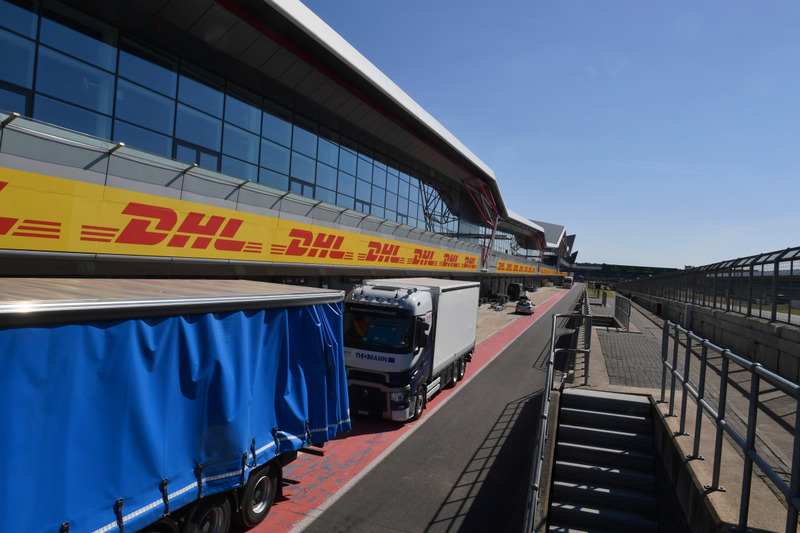 For the first time in the history of Formula 1, racing will take place on three consecutive weekends – delivered by DHL, Official Logistics Partner. 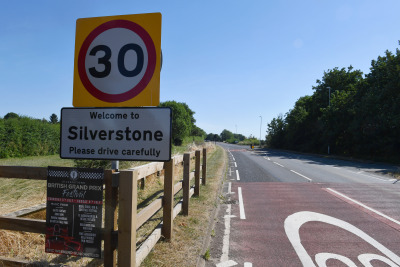 It’s going to be an enormous challenge for all concerned. 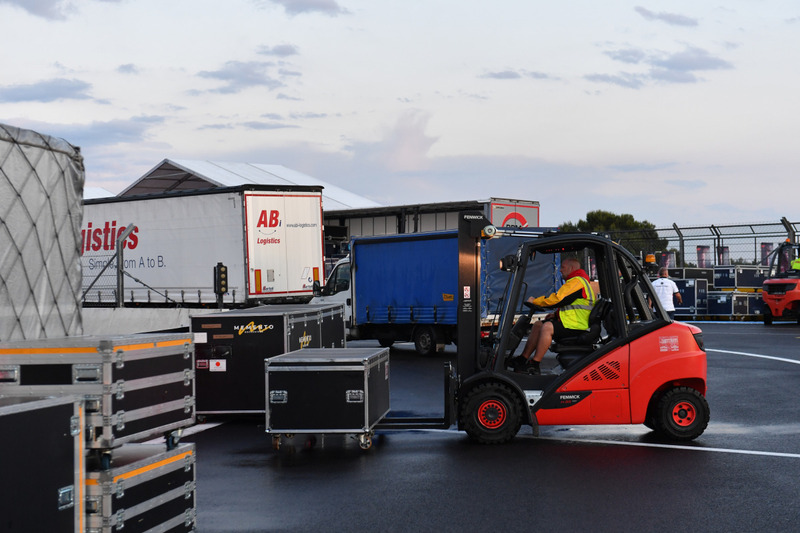 In our diary, we take a look behind the scenes and share some fascinating insights into the world of motorsport logistics. 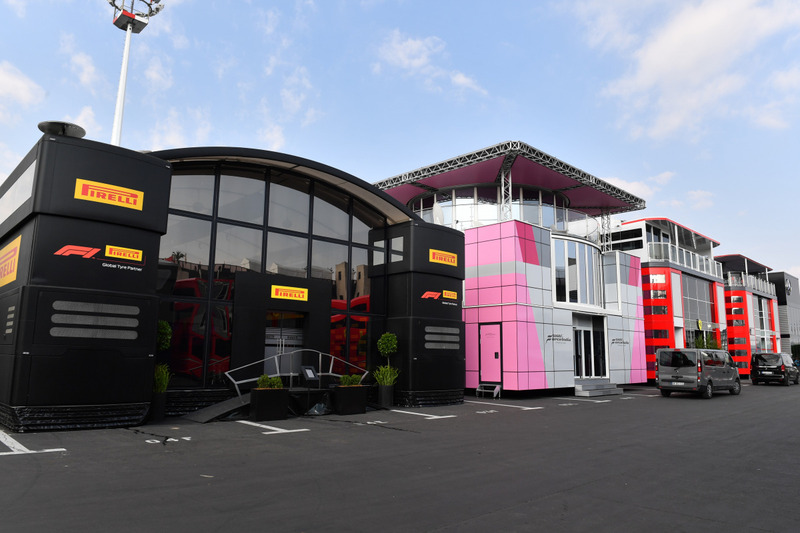 Formula 1’s first ever triple header is behind us, and the entire F1 circus can now take a well-earned break, as a race-free weekend is next up. 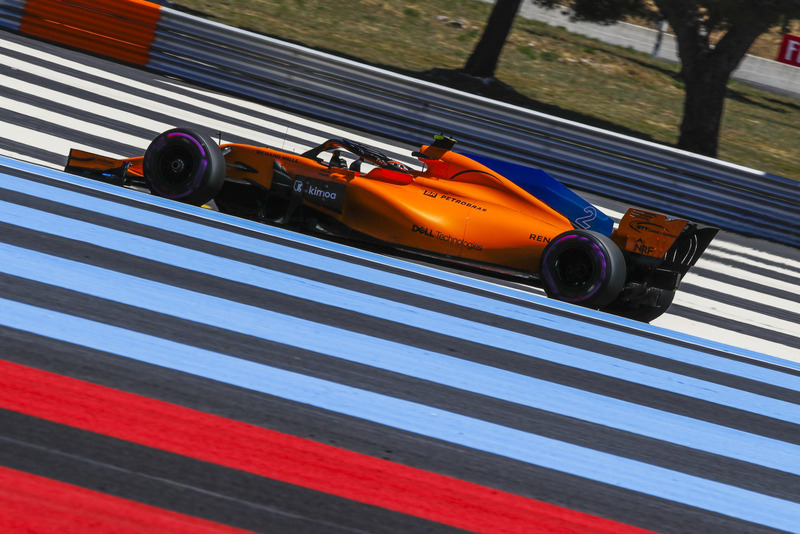 We look back at the busy last few weeks that took us from France to the UK via Austria, bringing with it plenty of challenges and many terrific moments along the way. 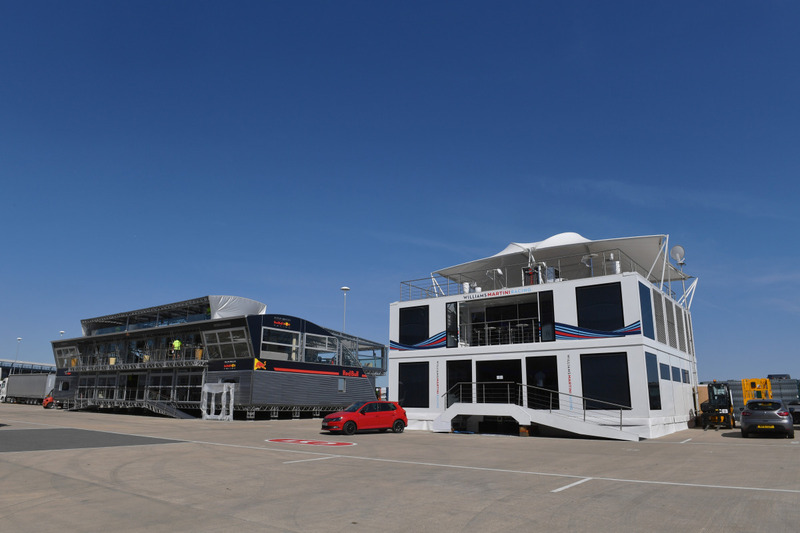 The Triple Header was a thoroughly unforgettable experience! 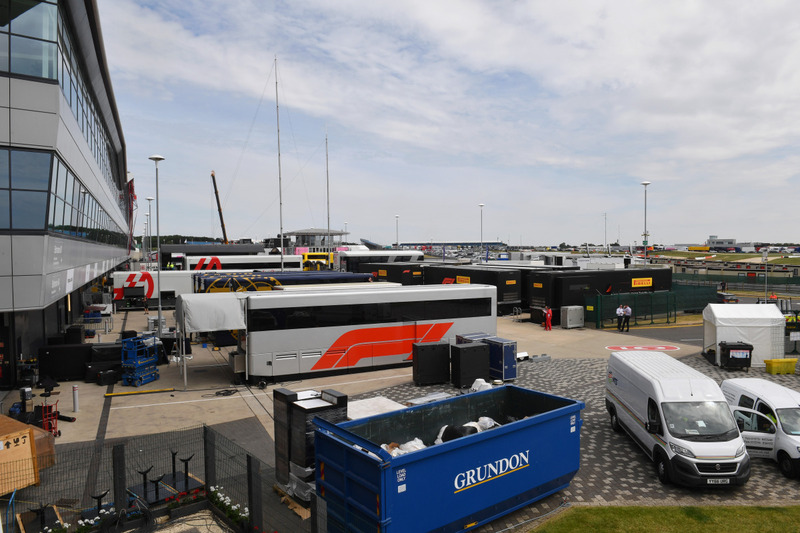 Work to dismantle the paddock today at Silverstone is in full swing. 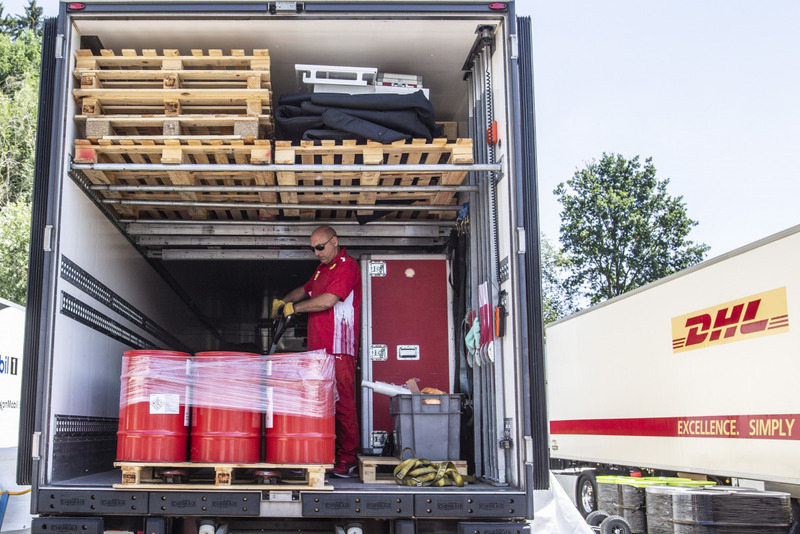 After three weeks on the road, every item of cargo now has to be delivered to the teams’ factories ahead of the next major challenge on the calendar. 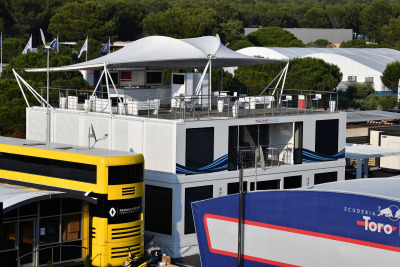 A double header will follow the first race-free weekend in ages and then it will be time for the summer break. 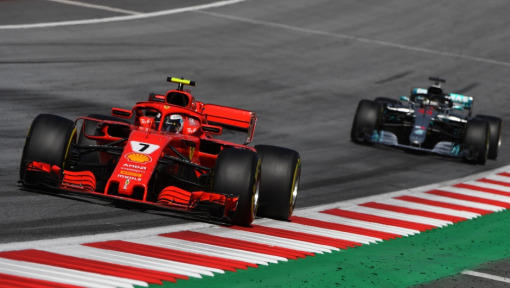 The German GP at Hockenheim is next up, followed by the Hungarian GP in Budapest. Yesterday, we saw DHL Trackside Manager Martin Pople drawing his first conclusions about the Triple Header. 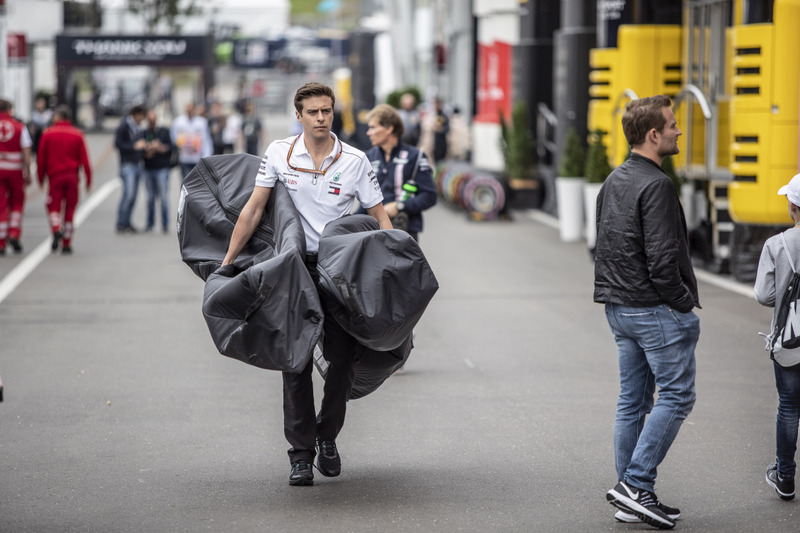 But now you can watch two more people from F1 – Event Manager James Boughton and Event Logistics Co-ordinator Christian Pollhammer – talk about the busy last few weeks. 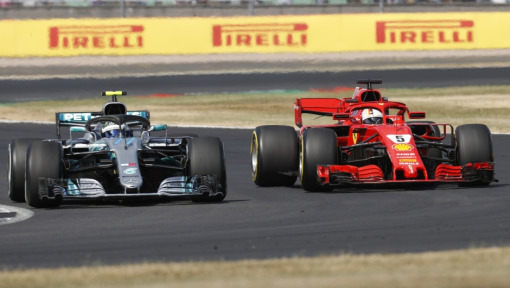 The first triple header in F1 history ended with a win for Sebastian Vettel in the British GP! We’ve had some pretty exciting but stressful weeks with the Formula 1 circus taking us first to Le Castellet in France, then to Spielberg in Austria and finally to Silverstone in the United Kingdom. 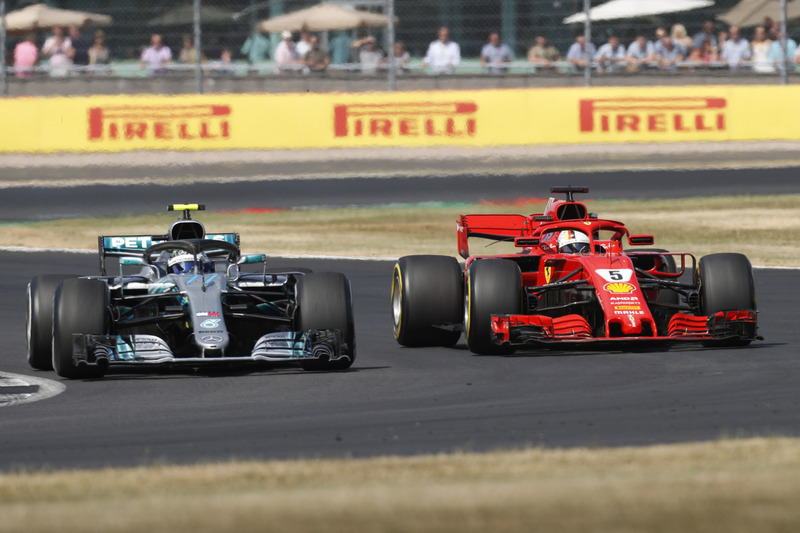 Three races in three consecutive weeks have featured on the program for the first time in Formula 1’s long history, dating back to 1950. 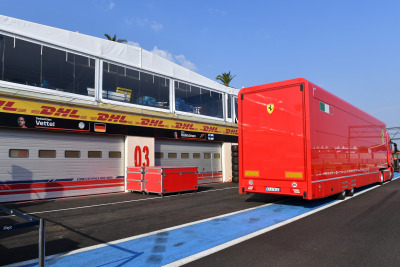 That presented a completely new and very special challenge, which DHL mastered superbly together with the teams, calling on over 35 years of experience in the field of motor sport logistics. 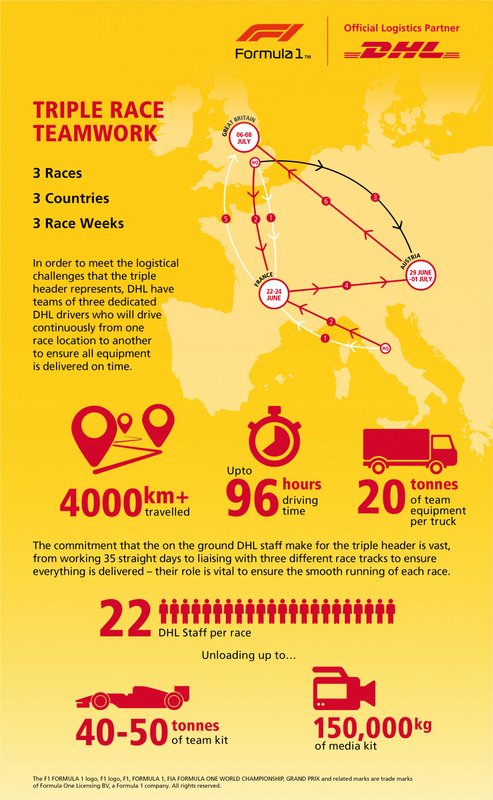 Our DHL guys worked 35 days without a break to make the triple header possible, covering in the process more than 4,000 kilometers across Europe in their trucks. DHL Trackside Manager Martin Pople looks back on an exciting couple of weeks and looks ahead to what’s coming up next in Formula 1. The British GP is a very special race for all ten teams, but especially so for the seven that are based in the UK, some in the actual vicinity of the Silverstone Circuit. For quite a few members of the Formula 1 circus, it is therefore a home race in the truest sense of the term, meaning that they can sleep in their own beds. 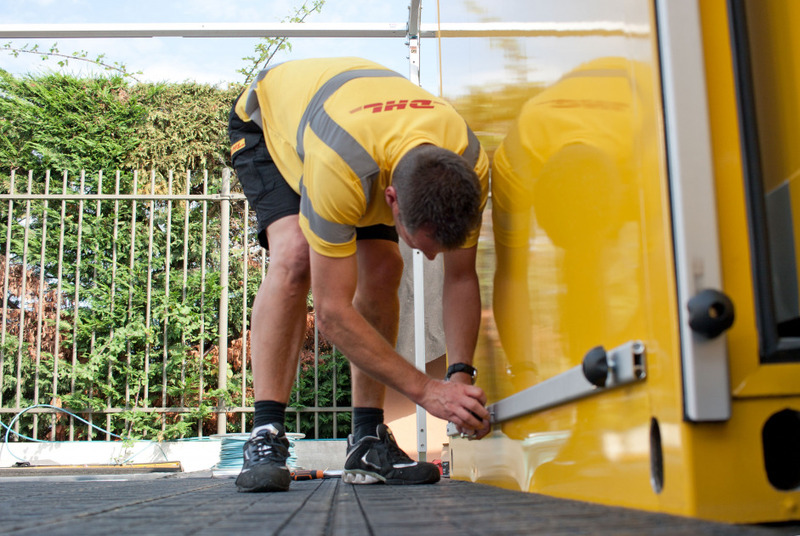 DHL Trackside Manager Martin Pople is one of those looking forward to his home race. 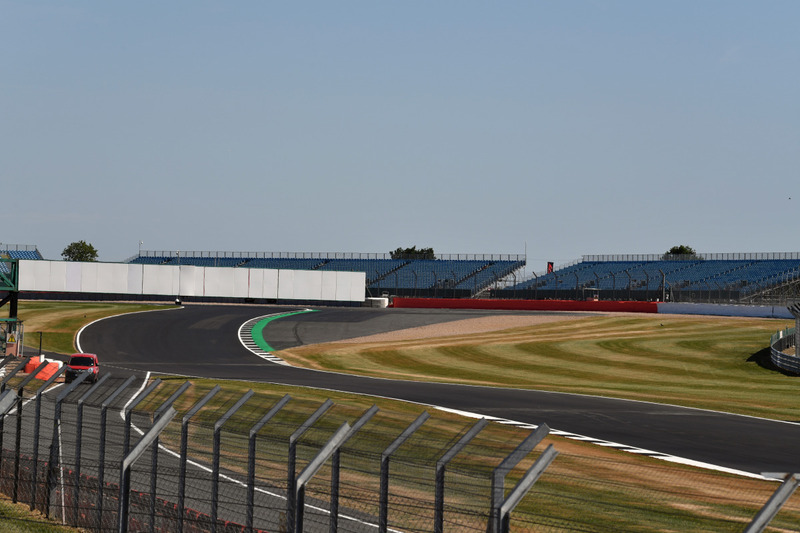 Martin has plenty of fond memories, and he shares with us his best and most formative experiences at the British GP. 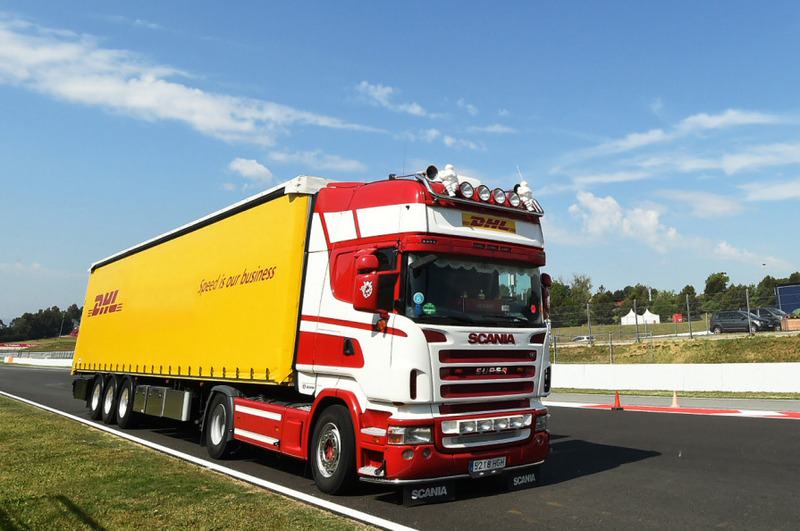 No less a person than record world championship winner Michael Schumacher is a key player in Martin’s reminiscences. 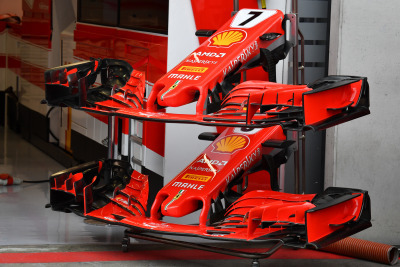 Unmissable! 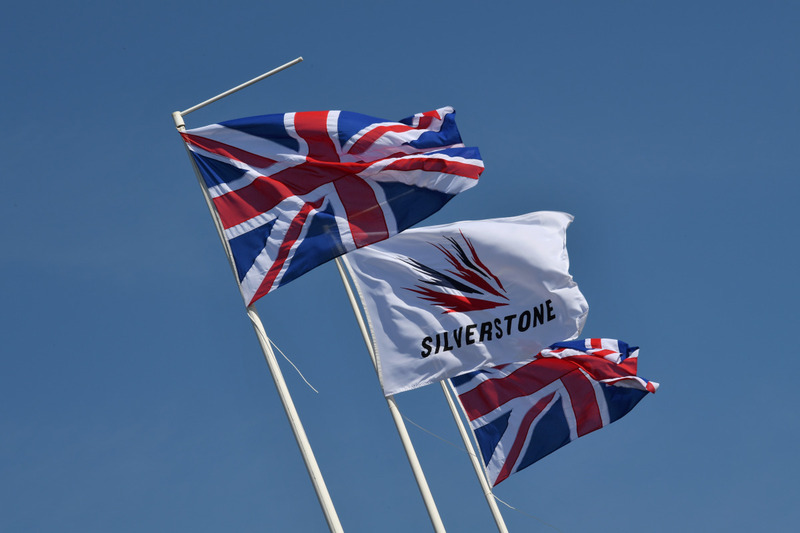 The engines are making themselves heard for the first time today at Silverstone. 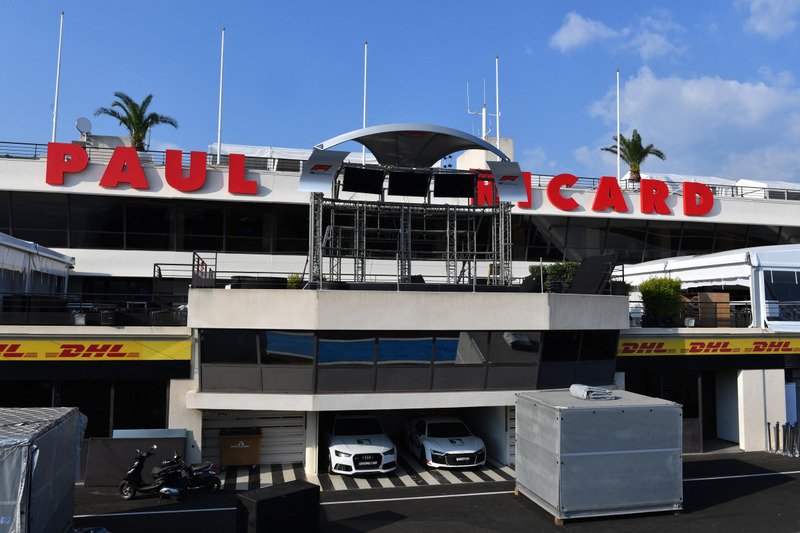 In the course of the two free practice sessions, the drivers have a total of 180 minutes to acclimatize themselves on this 5,891-meter track with its long and illustrious past. Sunday’s British GP race will cover 52 laps, equivalent to a distance of 306.12 kilometers. Lewis Hamilton will be looking to set a new record by winning his home race at Silverstone for the sixth time. This season, the drivers have a maximum 105 kilos of fuel per Grand Prix. 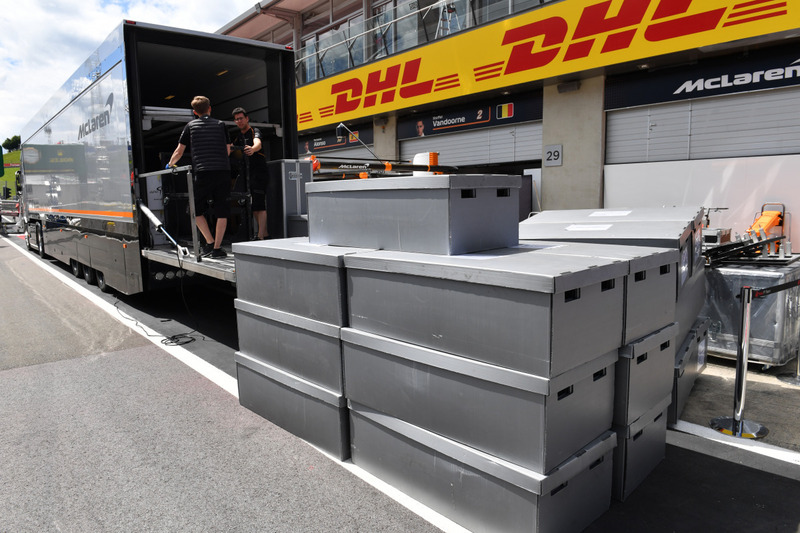 This is delivered to the race venues by DHL. 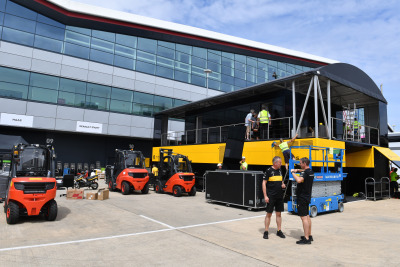 Trackside Manager Martin Pople explains the logistical challenges this poses. Silverstone is opening its doors today for Media Day. 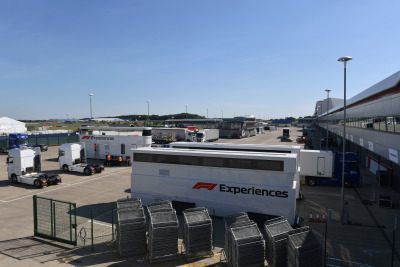 Teams and drivers have had a very busy schedule in recent weeks but many journalists too have been at the track to report on the three Formula 1 races that make up the Triple Header. 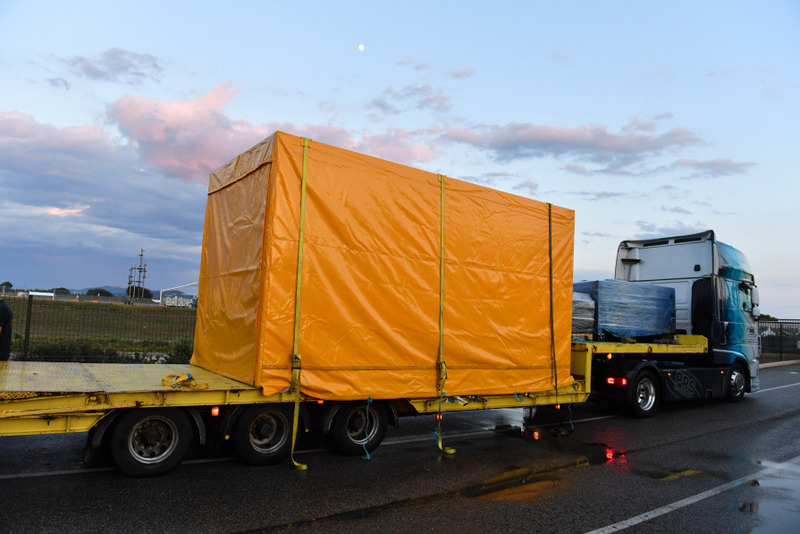 That has meant traveling to France, Austria and the UK within the space of three weeks and plenty of miles in the process. 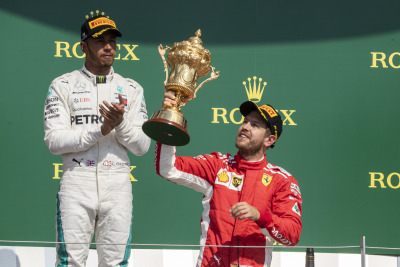 The big story for the media is, of course, the title fight between Sebastian Vettel and Lewis Hamilton, as the Ferrari driver is only one point ahead following an action-packed Austrian GP. 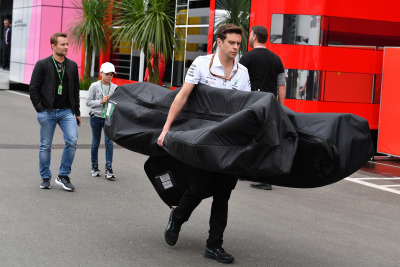 The weather forecast for Silverstone is not the one we have come to expect. 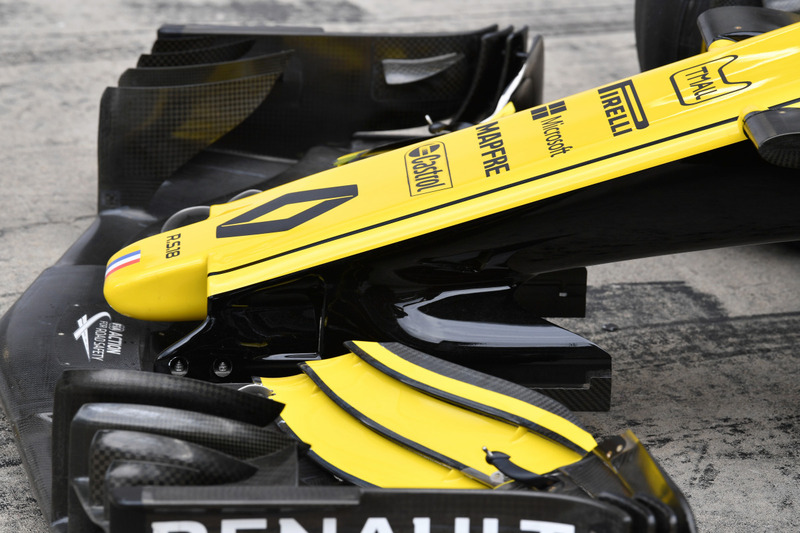 Things are looking extremely good. 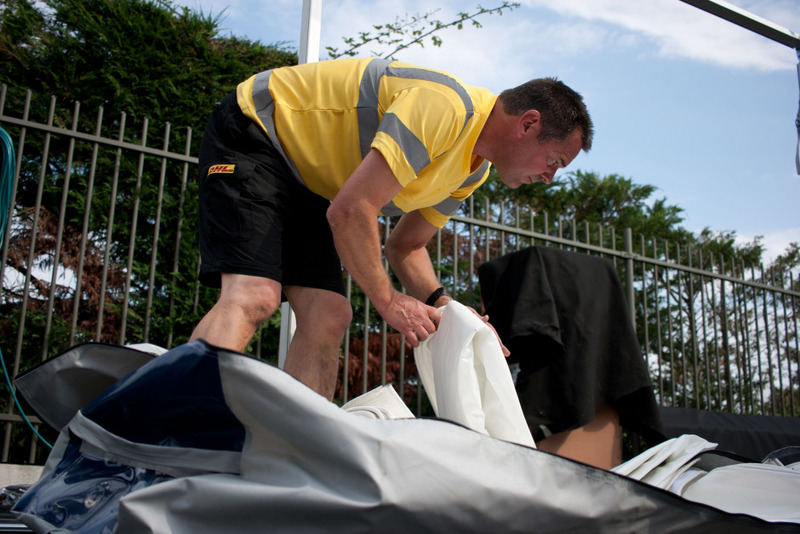 No rain with perfect conditions over the next few days. 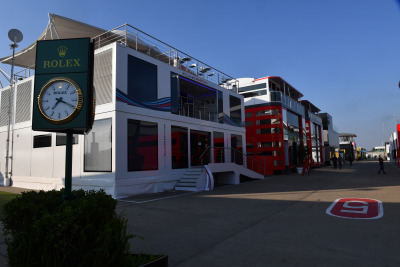 Highs of around 30°C are predicted for Sunday’s race. The teams’ motorhomes look magnificent in the summer sun. While the final stages of construction work for the British GP are underway at Silverstone, it’s now gone pretty quiet at the Red Bull Ring in Austria. 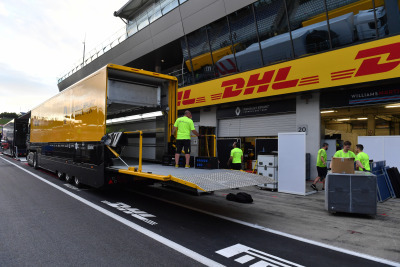 For about a month, that is, until mid-August when MotoGP comes to Austria – delivered by DHL, of course. 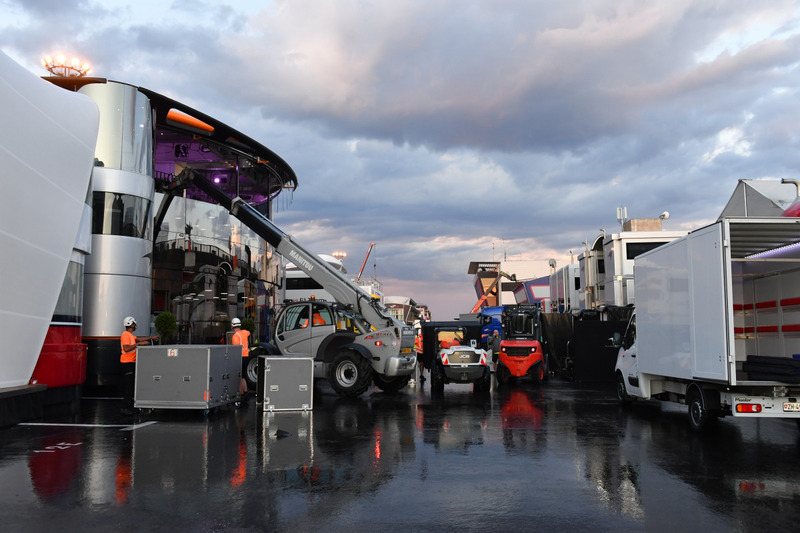 Immediately after the checkered flag was waved on Sunday to signal the end of the Austrian GP, dismantling of the paddock commenced. The job was finally completed on Monday. 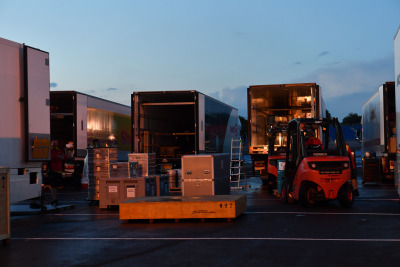 We captured the activity on this spectacular time-lapse video. 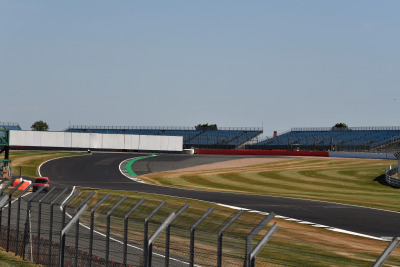 After the Cote d’Azur in France and the Alps of Austria, it is now the turn of the English Midlands to host the concluding installment of the historic triple-header. 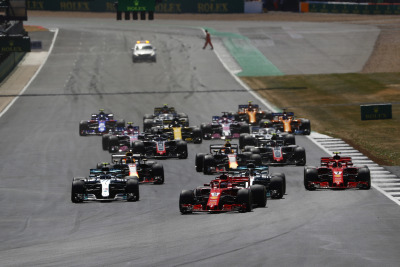 The British GP is one of the longest-standing fixtures on the Formula 1 calendar – it will be contested for the 69th time this year. 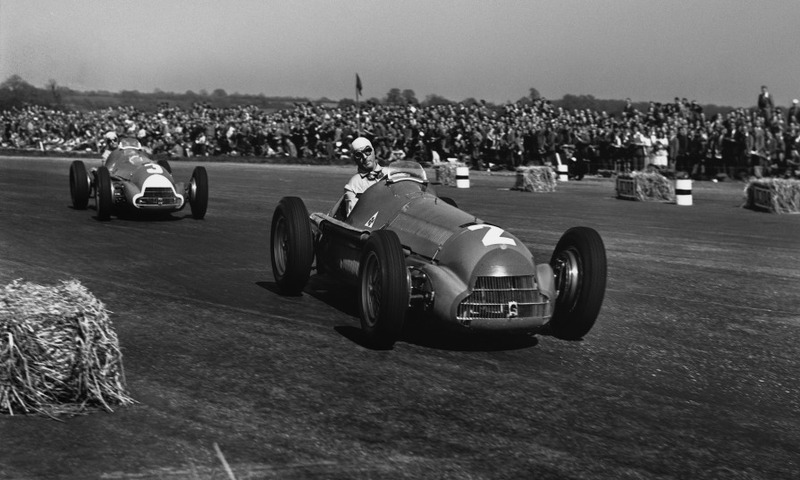 On 13th May 1950, the Silverstone Circuit hosted the first ever race of the Formula 1 World Championship. Although much has happened at the former military airfield since then, the layout of the track with the iconic Maggots, Becketts and Chapel Curves and Hangar Straight is still the same as it was 68 years ago when the winner was Nino Farina in an Alfa Romeo. 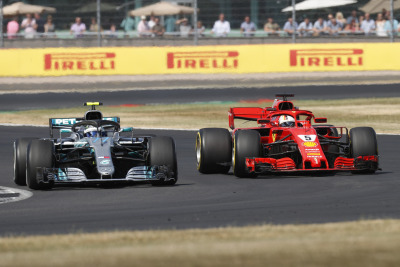 Things are hotting up both in the historic F1 Triple Header with the British GP and in the World Cup in Russia where teams will play their qualifiers in the round of 16. 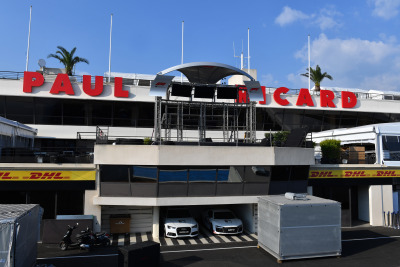 This evening’s match between England and Colombia is expected to be particularly exciting for the many people involved in F1, who come from the home of football. 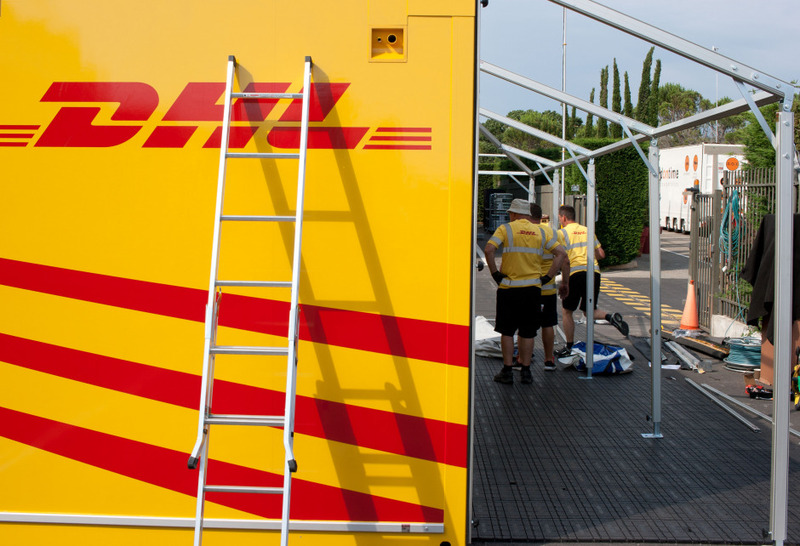 There are plenty of ‘Three Lions’ supporters among DHL’s crew led by Trackside Manager Martin Pople whilst our Italian colleagues could not participate in the football festivities this time as their team, surprisingly, did not qualify for the World Cup. 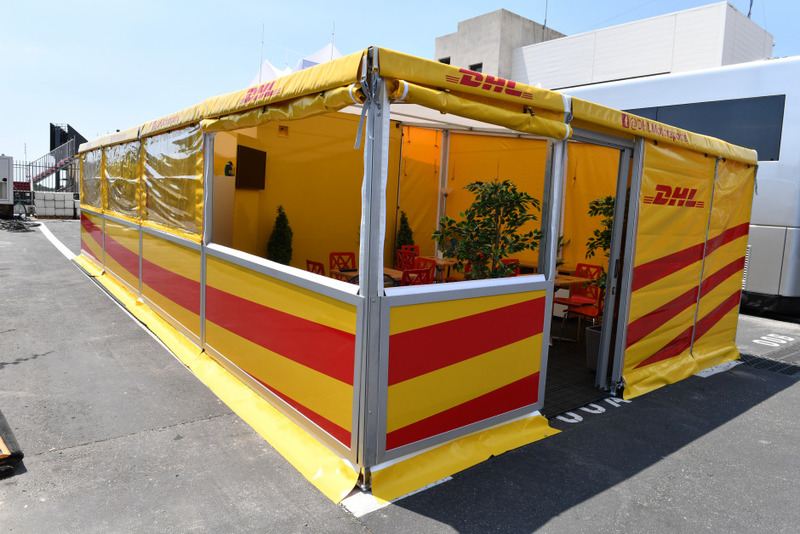 We take a look at soccer fans watching the World Cup in DHL’s Motorsport Hospitality. 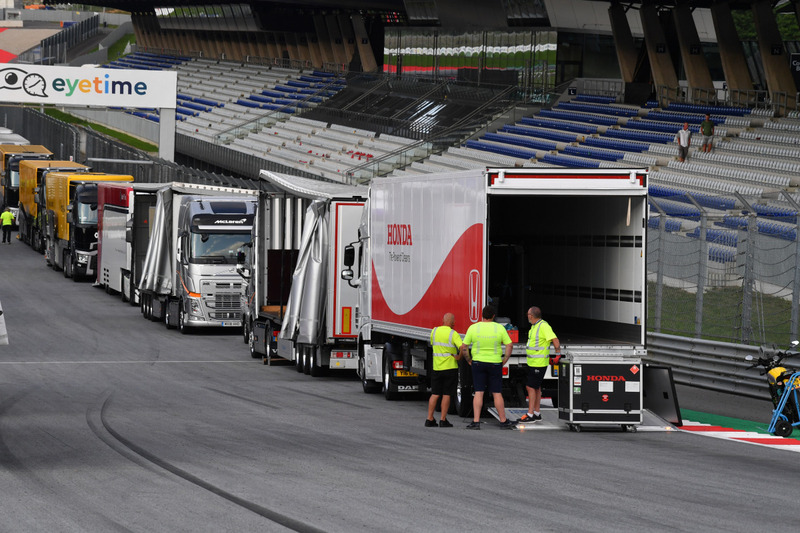 Meanwhile, the trucks from Spielberg have now all arrived at Silverstone and been unloaded. The construction of the paddock, which started on Saturday, is proceeding apace, because it’s Media Day on Thursday and the Silverstone Circuit is due to open its doors to the public. 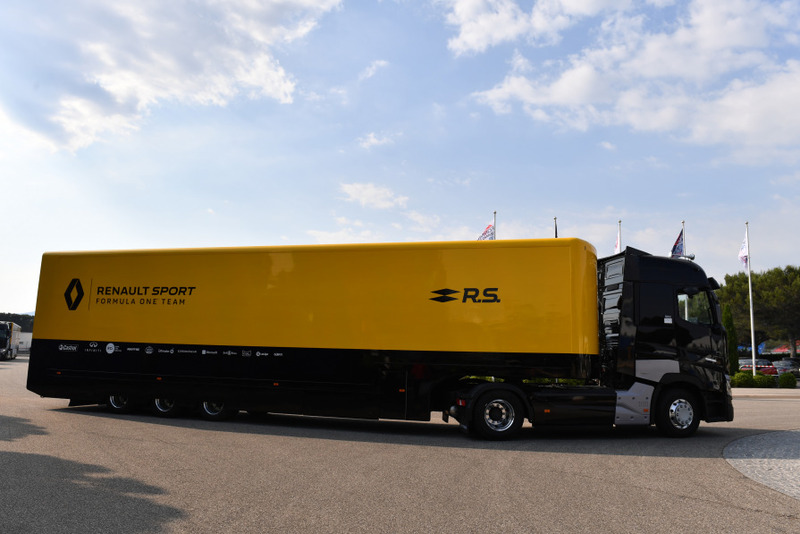 Formula 1 equipment is currently on its way from Spielberg to Silverstone and will pass through the French port of Calais tonight. 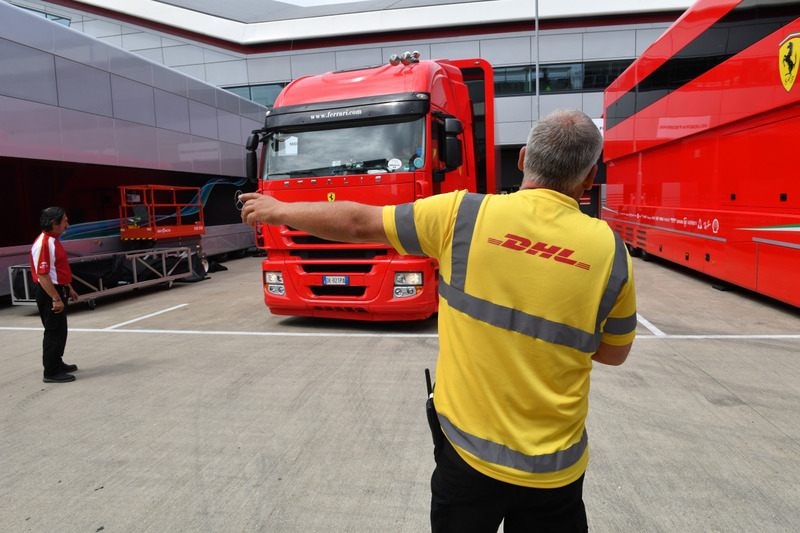 DHL Trackside Manager Martin Pople gives us an update from on the road. 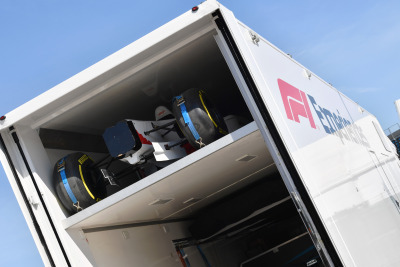 Despite the tight schedule imposed by the Triple Header, teams have launched many upgrades which will have to be delivered to racetracks from factories in England, Italy and Switzerland. Mercedes, for example, launched the next generation of power units at Le Castellet, and Williams will have an upgrade for Silverstone. 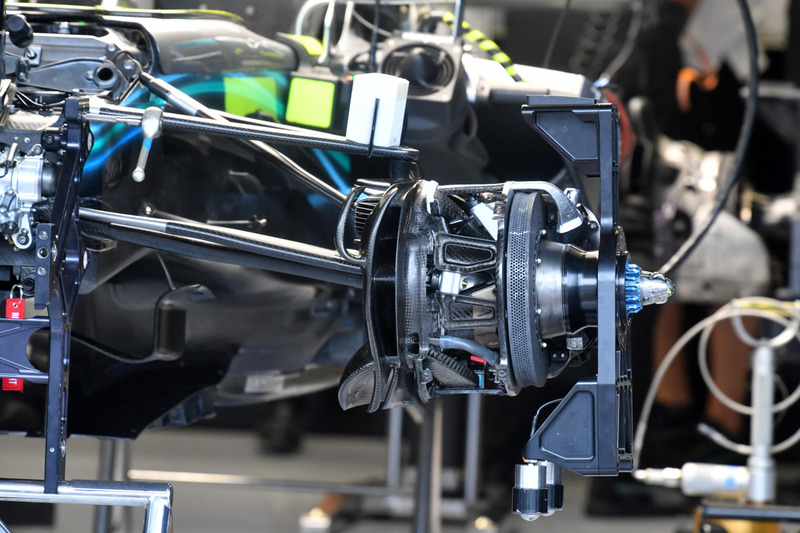 Martin takes us behind the scenes to explain how new parts are delivered during the Triple Header in a race against the clock. 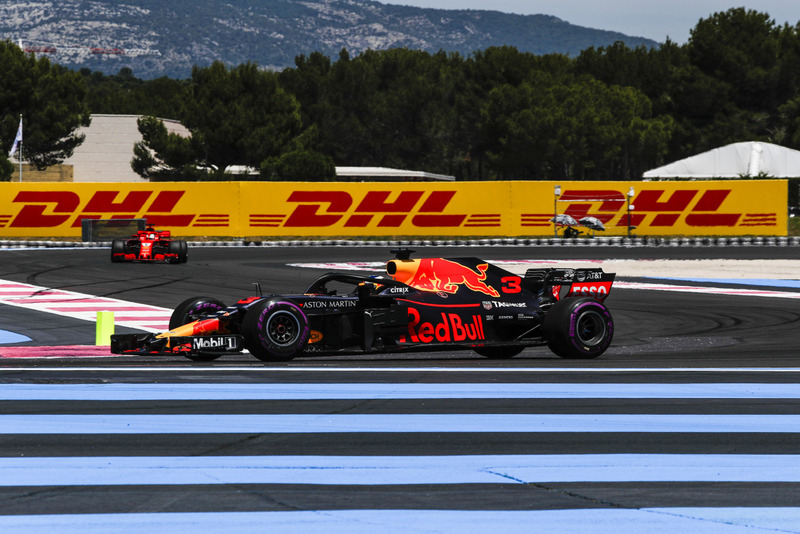 Red Bull Racing driver Max Verstappen wins the Austrian Grand Prix, the second leg of the historic F1 Triple Header. Even as celebrations on the podium continue, the paddock is buzzing with activity. Work on dismantling the paddock has really stepped up a gear now, as the first trucks with racing cars and motorhomes on board must leave Spielberg this evening, heading for Silverstone. 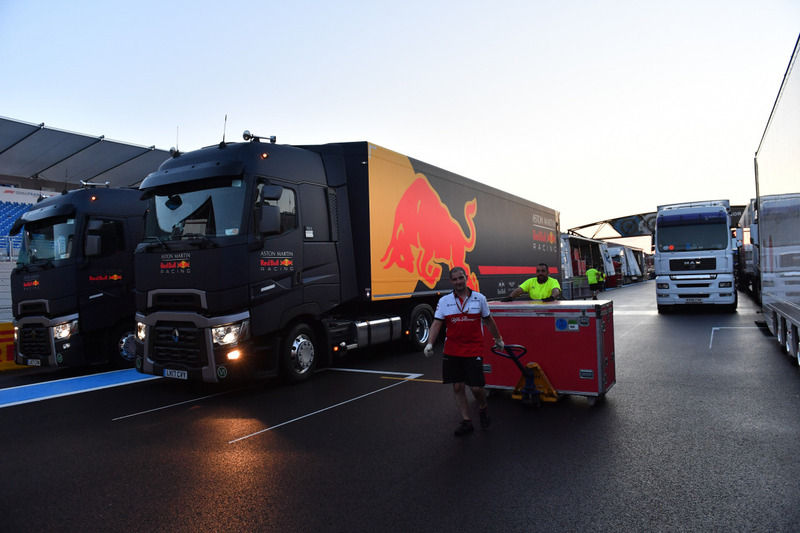 They will be joined on their journey by tankers with fuel for the British GP that will also have to leave the Red Bull Ring today. 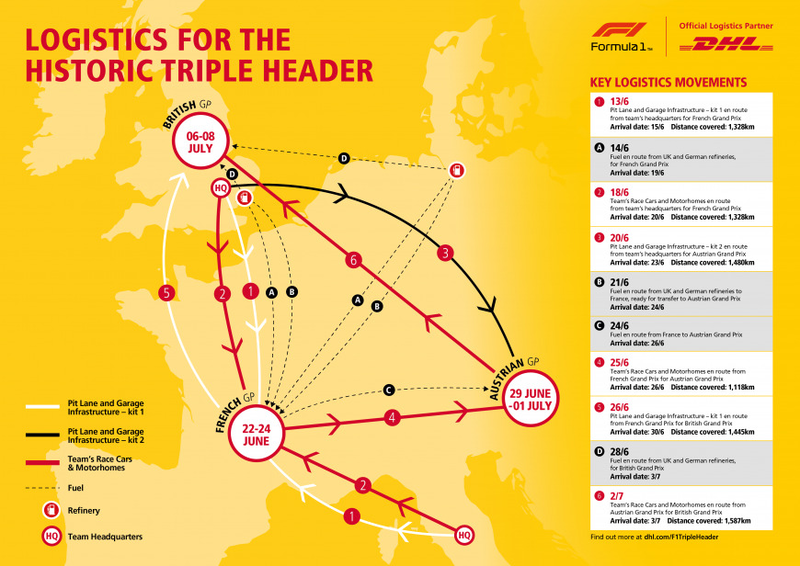 DHL Trackside Manager Martin Pople fills us in with some details about the 1,587-kilometer, around a thousand miles, journey from Austria to the UK. It’s time for qualifying at Spielberg today, and we can’t wait! 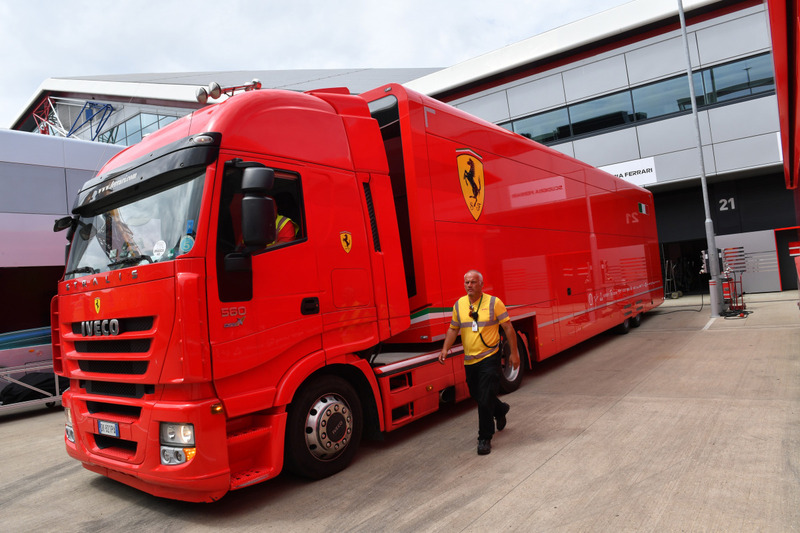 But the excitement is also building up at Silverstone where the trucks that left Le Castellet on Tuesday are now arriving for the British GP. DHL Trackside Manager Martin Pople and his colleague Wayne Howell have a busy weekend ahead, as they’ve got to think about both the Austrian GP and next weekend’s British GP with all its associated logistical challenges. 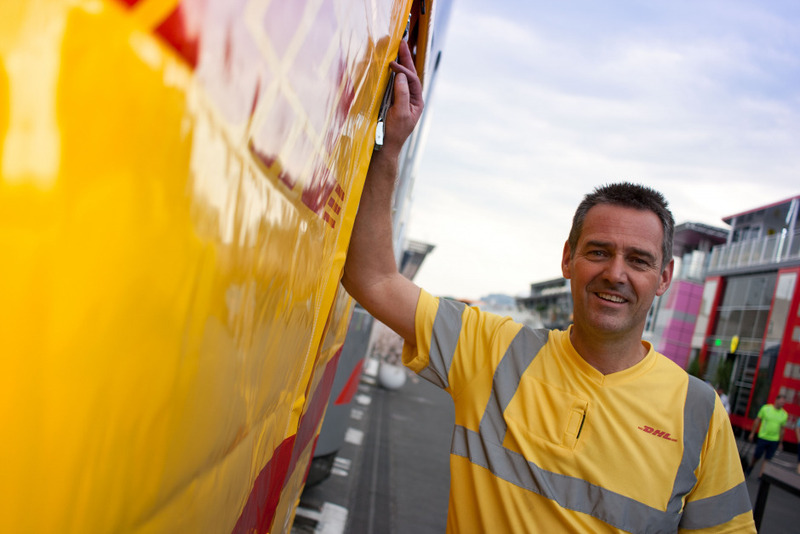 Still, Wayne has taken some time out in the DHL motorhome to tell us a little bit more about himself. 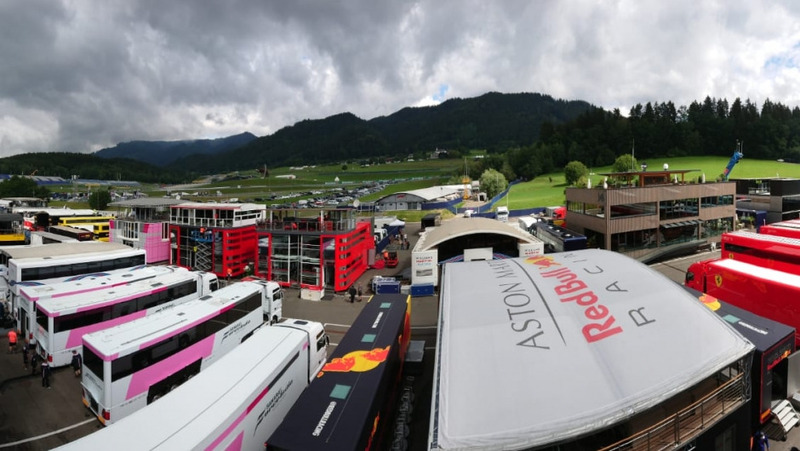 The sun is peeping out from behind the clouds at Spielberg just in time for the first two practice sessions. 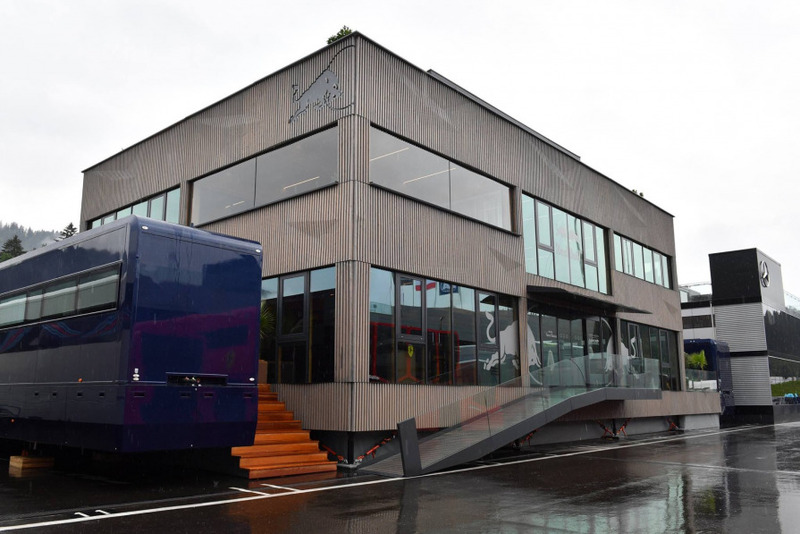 It’s been raining steadily these last few days in Austria, which has served to dampen the enthusiasm of the many fans at the campsites around the Red Bull Ring who have come early to enjoy the atmosphere. 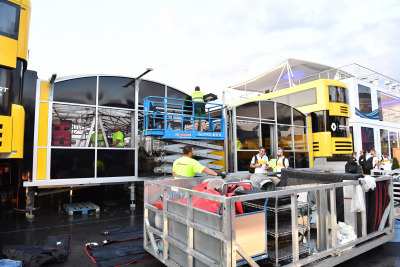 The workers busy in the rain putting up the paddock have been none too happy either! Bad weather seems to be following Formula 1 around, well, until yesterday at least, because it rained shortly after the race also in France, making for decidedly unpleasant conditions as the paddock at Le Castellet was dismantled in a battle against the clock. DHL Trackside Manager Martin Pople shows us around Spielberg’s paddock so that we can see how the work proceeded at break-neck speed during these past few days. It’s Media Day at Spielberg. 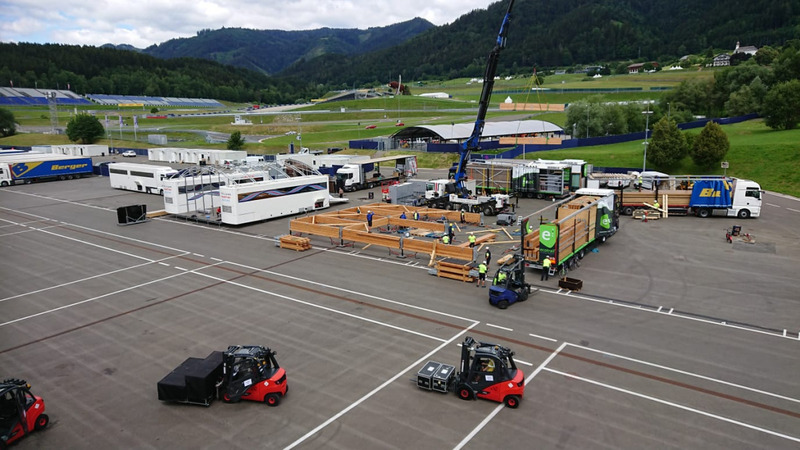 While the drivers are busy talking to the journalists about the upcoming Austrian GP, we take a look back at the construction of the paddock at the Red Bull Ring. 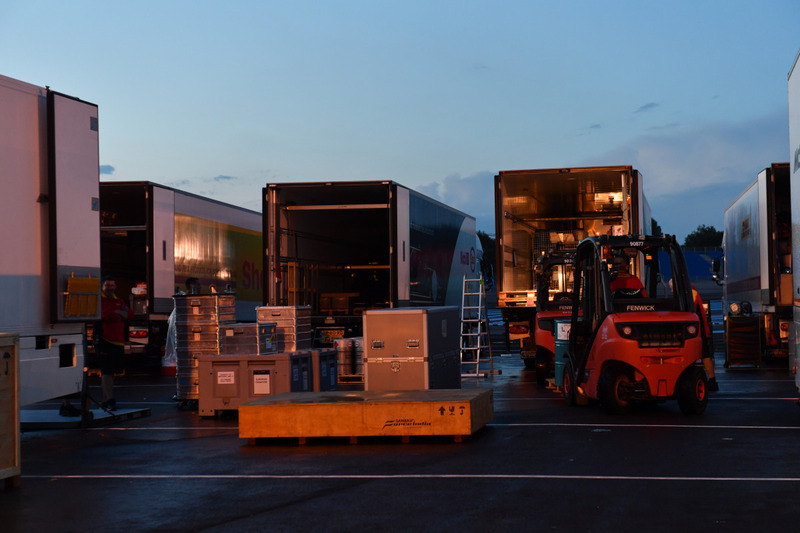 Since the first trucks arrived last Saturday, a lot has happened there. 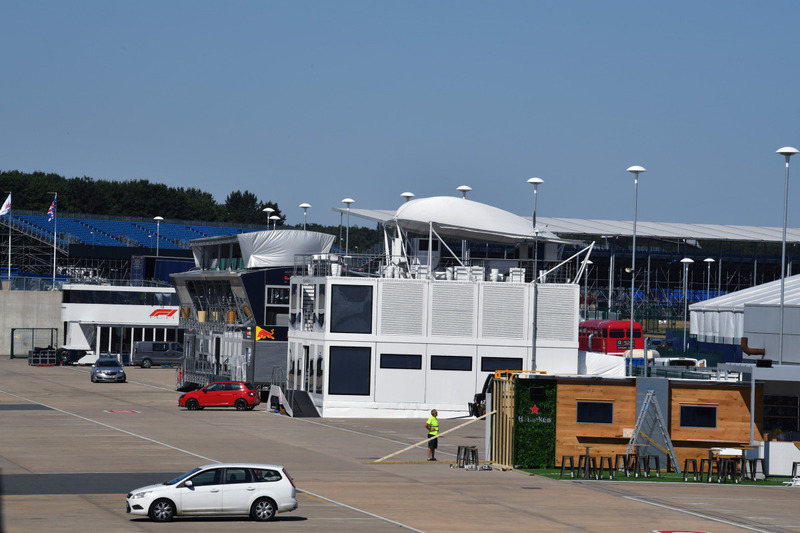 We have put together a time-lapse video of what has been going on over the last few days. 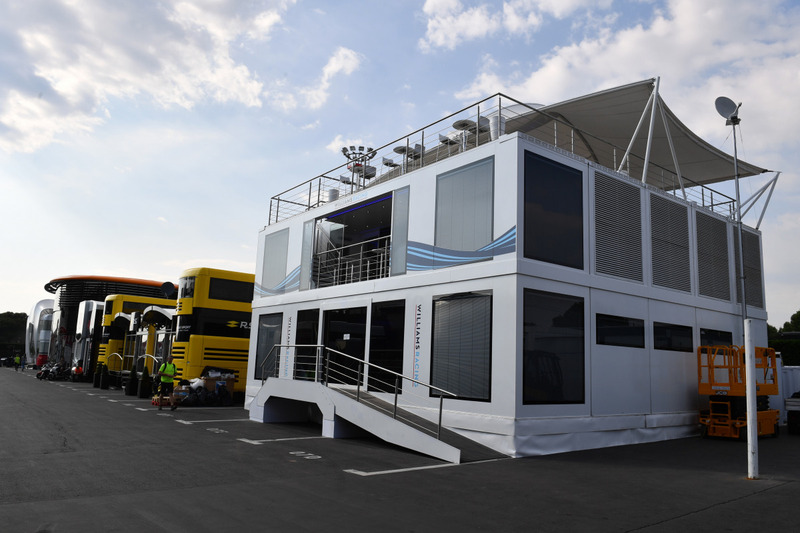 Various components of the motorhomes were arriving by truck as early as last Saturday, i.e. 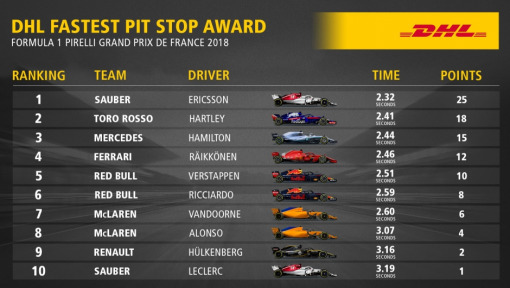 while the race weekend in France was still taking place. The rest were sent on the way to Spielberg as soon as the checkered flag fell. 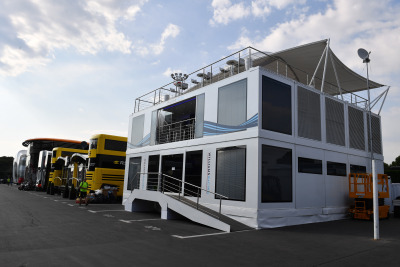 On a normal race weekend, it takes a 30-strong crew three days to build the Mercedes Motorhome – time the team simply does not have during the current tripleh eader. 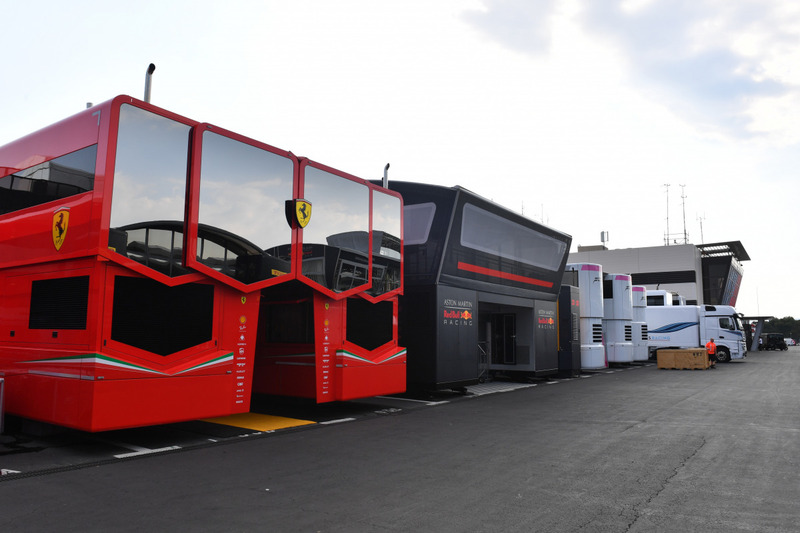 So, for both Austria and Silverstone, the crew has been doubled to 60. 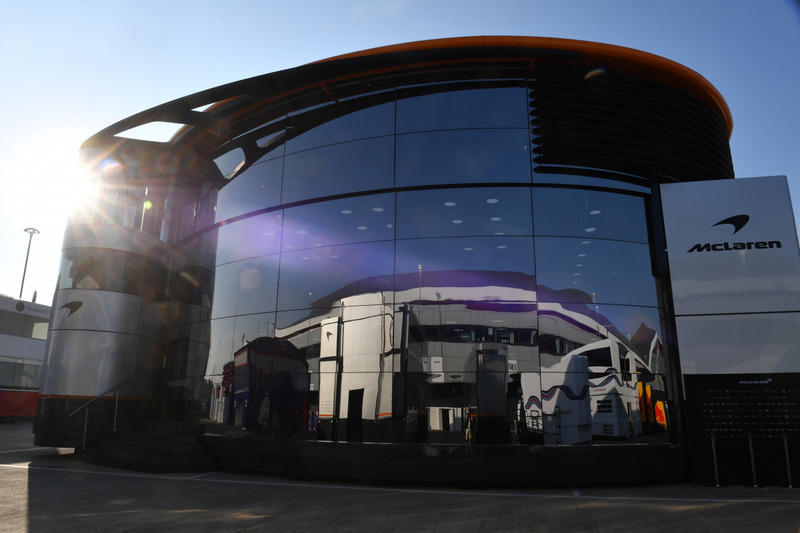 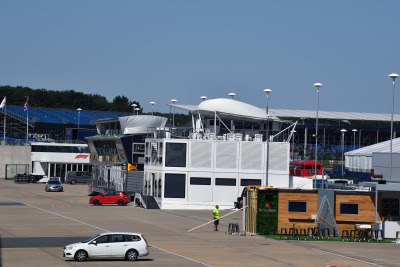 Oh, and about Silverstone: In the course of Saturday, trucks will be arriving there laden with pit lane and garage infrastructure that left Le Castellet on Tuesday; they have already completed half of their 1,445km journey to The Home of British Motor Racing. 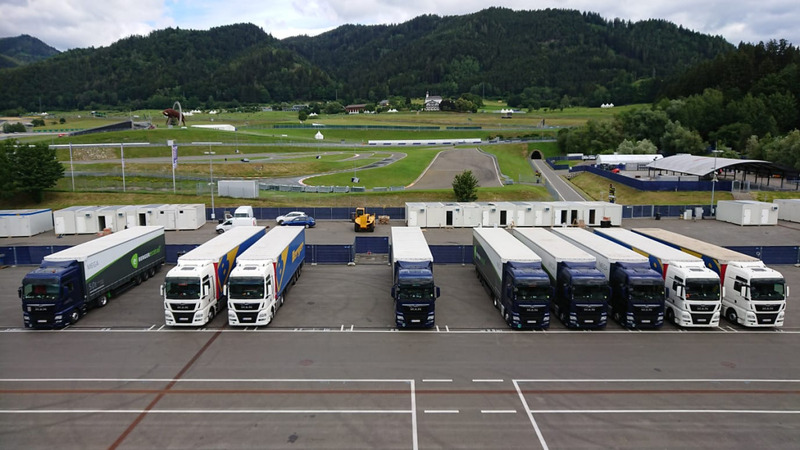 Drivers are now beginning to arrive in Austria as final setting up gets underway at the Red Bull Ring to ensure that the paddock is ready for tomorrow’s Media Day. As for every race, hundreds of journalists from all over the world will be at the Austrian GP to report on Formula 1. 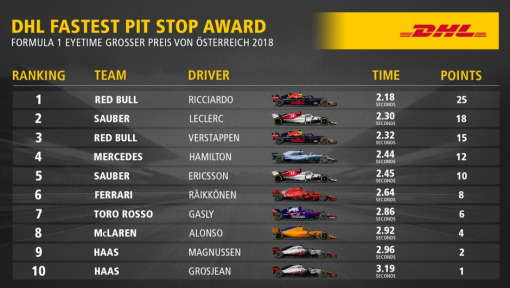 Red Bull’s drivers are already here and are busy working the crowd at an autograph-signing session in Graz, about an hour away from Spielberg. 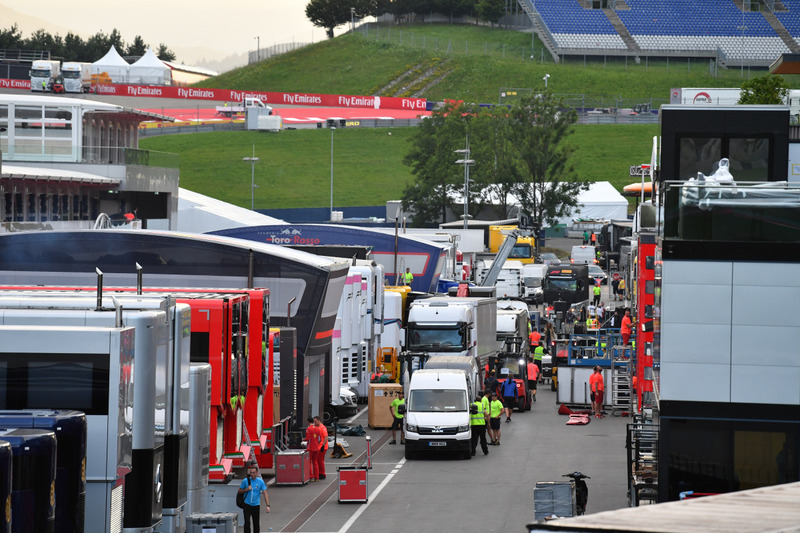 The paddock at Spielberg where work has been proceeding at top speed since Saturday is now really coming to life. The trucks are arriving from Le Castellet with the F1 cars and motorhomes carefully packed away on board. 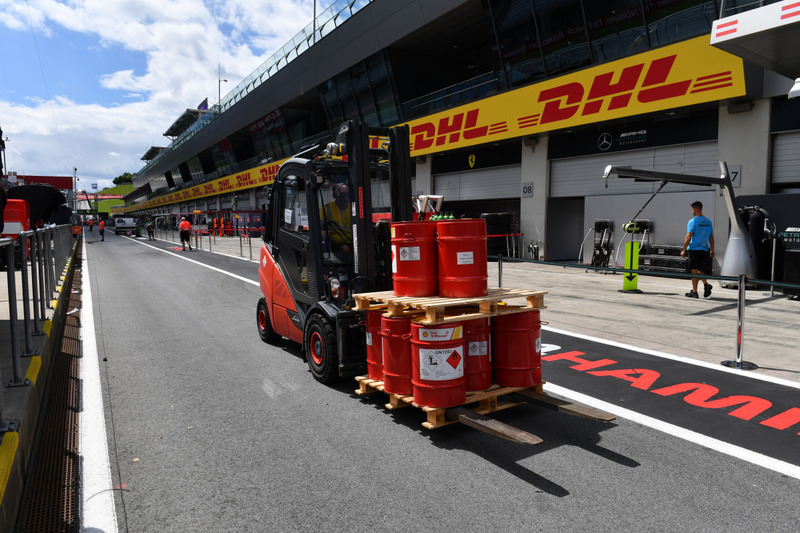 Fuel needed for the Austrian GP will also be coming in from France today. 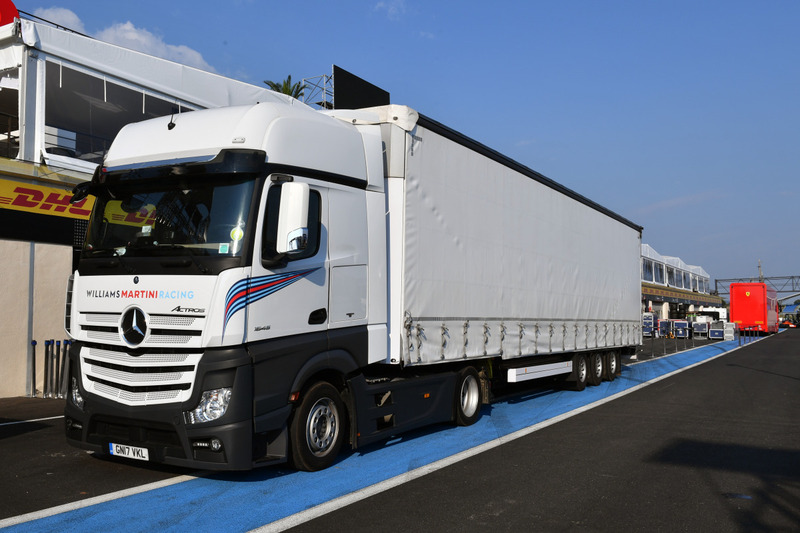 While all this is happening, other trucks from Le Castellet are heading to Silverstone with the pit lane and garage infrastructure which were used at the French GP last weekend and are now needed for next weekend’s British GP. The truckers have a mega journey ahead of them, some 1,445 kilometers or nearly a thousand miles. 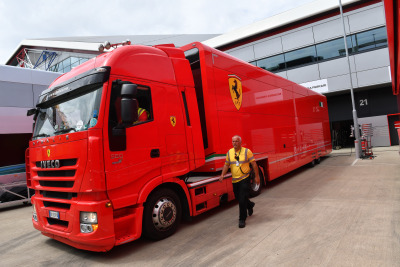 They will arrive in Silverstone on Saturday where work on setting up the paddock will commence at once. 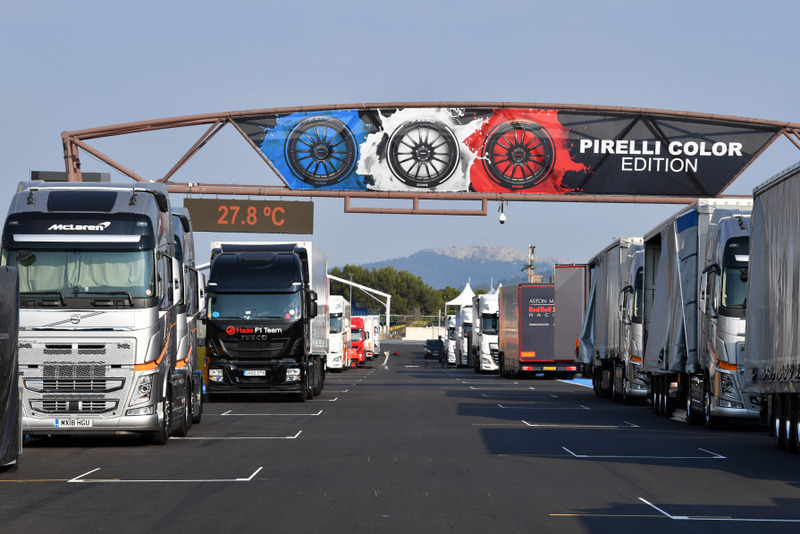 The trucks will leave Le Castellet today with their precious cargo of cars and motorhomes as they start out on their journey of some 1,118 kilometers. They should arrive tomorrow at Spielberg’s Red Bull Ring. The three truckers on board will take turns at the wheel so that the trucks never stop as they drive through the night. Races in Europe are not ‘flyaway’ as for races overseas, where air and sea routes also have to be used, and all Formula 1 equipment is trucked in for European race meetings. While Lewis Hamilton was busy celebrating victory in the French GP, taking down the paddock at Circuit Paul Ricard was progressing at a super-fast pace. 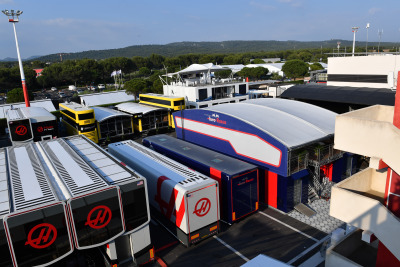 Such a tight schedule is necessary, because tomorrow, the trucks with cars and motorhomes on board will have to begin their journey from Le Castellet to Spielberg where they should arrive on Tuesday. Fuel needed for the Austrian GP also left France today. 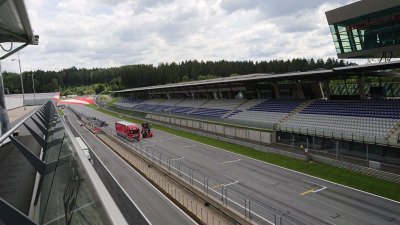 The fuel tankers too are scheduled to arrive at the Red Bull Ring on Tuesday. Back at Spielberg, meanwhile, work has been underway for several days, setting up the paddock. 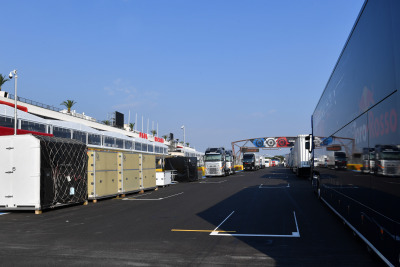 Trucks from team headquarters carrying the pit lane and garage infrastructure arrived on Saturday. 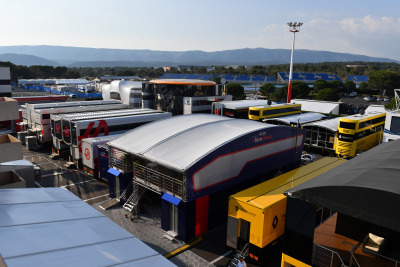 While qualifying for the French GP is taking place at Le Castellet, preparations are in full swing for next weekend’s Austrian GP in Spielberg. After a trip of about 1,480 kilometers, the first trucks that left team headquarters on Wednesday with the pit lane and garage infrastructure on board have now arrived at the Red Bull Ring. 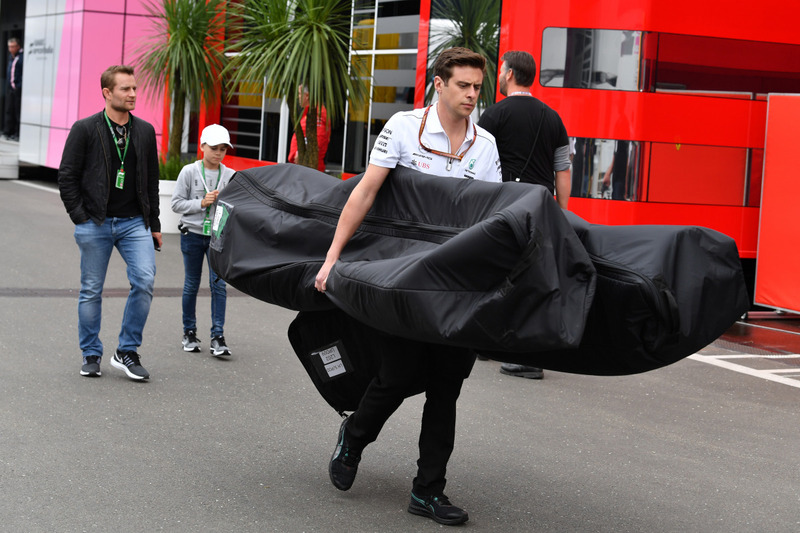 Due to the tight schedule imposed by the demands of the Triple Header, teams will use two different race kits. 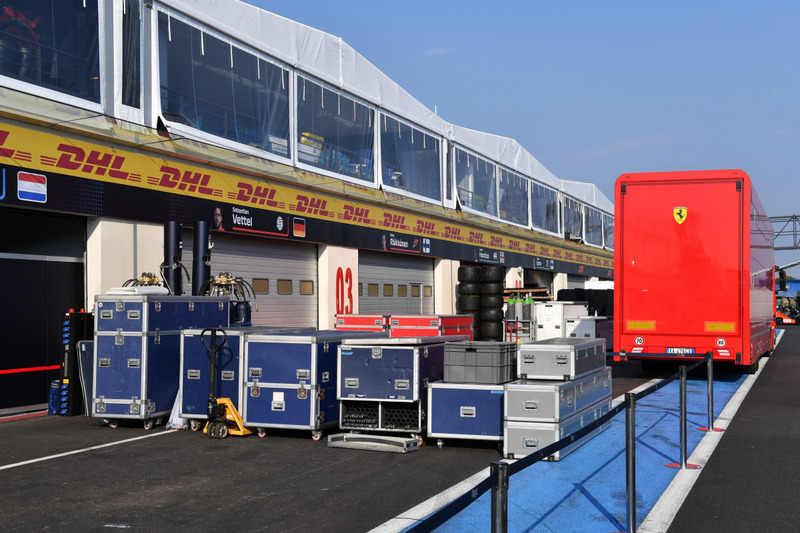 Flyaway race kits will be used in Austria while equipment currently being used in France will have to be transported from Le Castellet to Silverstone next Tuesday, an enormous logistical challenge our experts are geared up for. 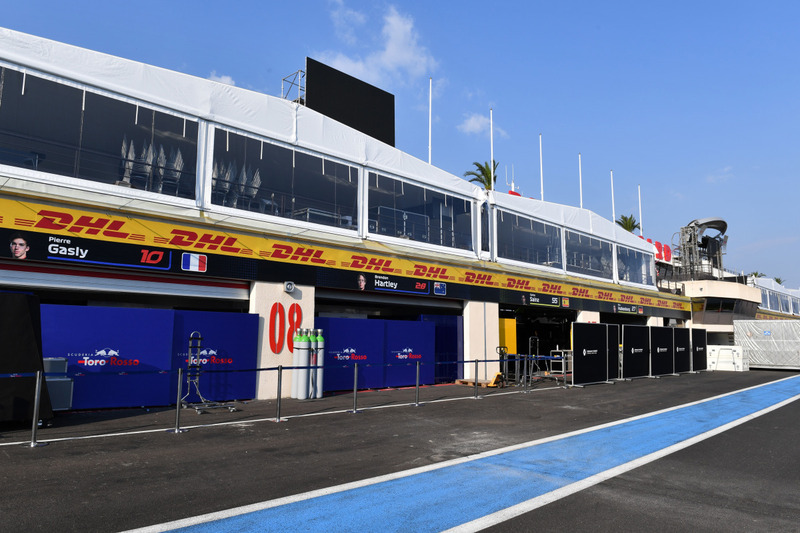 Cars will see action out on track today with the first two practice sessions at the Circuit Paul Ricard, and DHL’s crew can now take things a bit easier after being very busy lately. 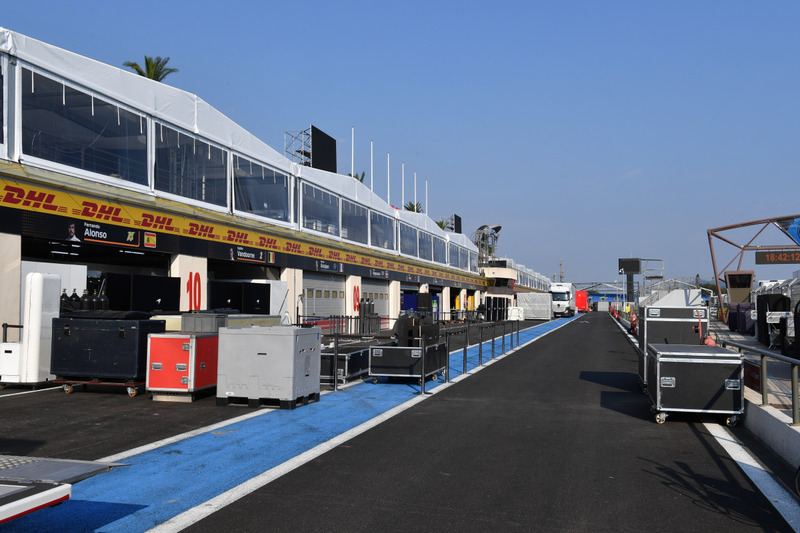 This is a good time for Trackside Manager Martin Pople to update us on the current state of affairs and tell us what’s on the agenda over the next few days. 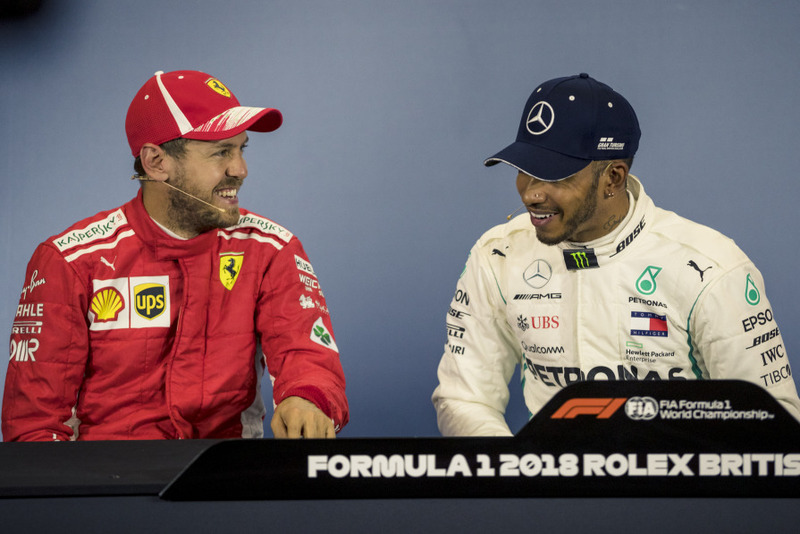 We also asked two of the drivers what they thought about the unprecedented Triple Header and the associated stress that they’ve never had to experience before. Construction work in the paddock at Le Castellet is now complete! The Media Day is next up on the schedule today when drivers will answer questions from journalists, who have traveled to the event from all over the world. 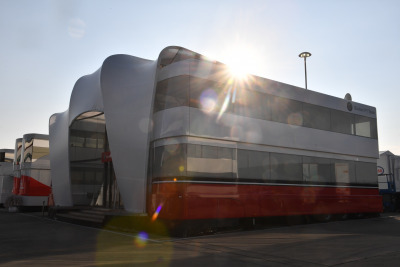 Media sessions normally take place in the magnificent team motorhomes which need as many as 30 trucks to transport them from circuit to circuit for races in Europe. 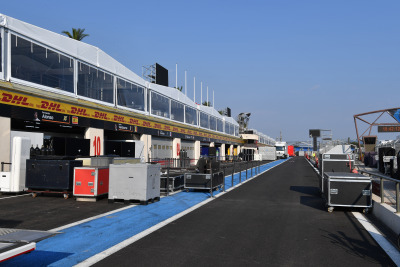 It will be tomorrow before we hear racing car engines start up for the first time at the Circuit Paul Ricard. 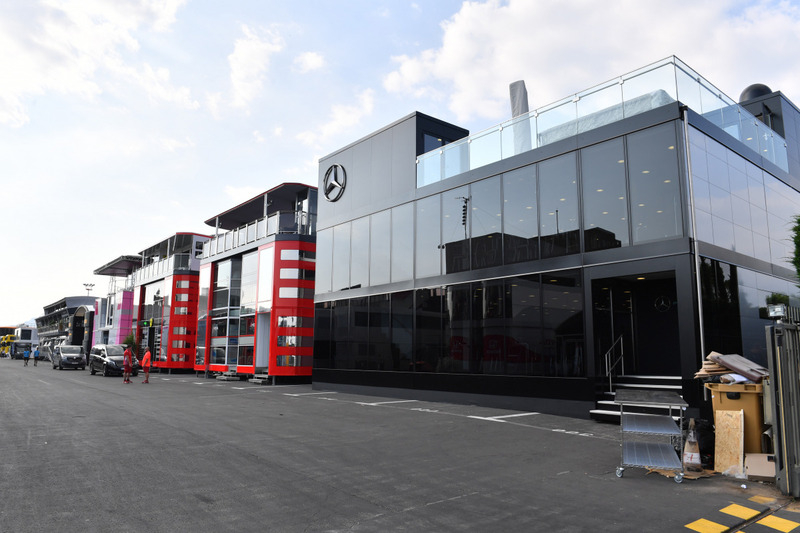 Of course, one of the big topics at the Media Day will be this season’s triple header, because having three races back-to-back poses both an enormous challenge from a logistical point of view and for the drivers, who have never done this before, contesting one-seventh of the season within just three weeks. 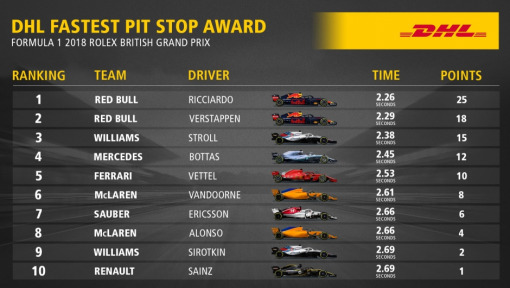 A driver on form for the triple header should be able to gain a major advantage in the world championship stakes. 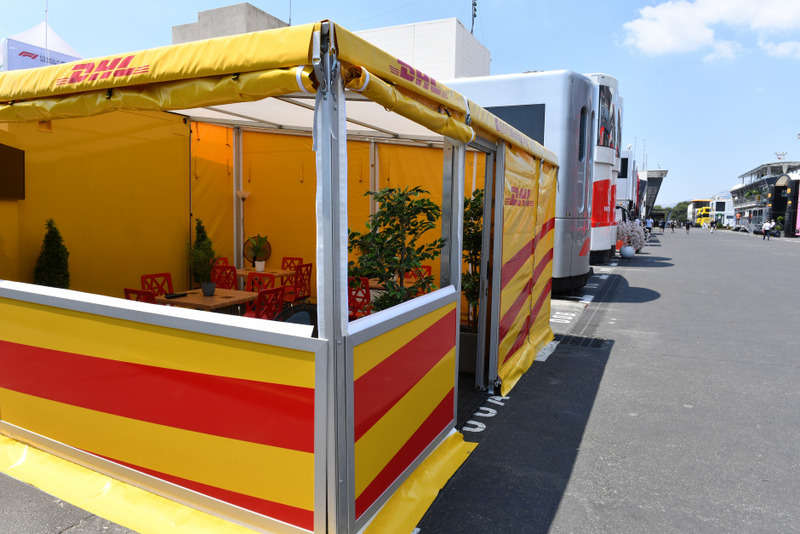 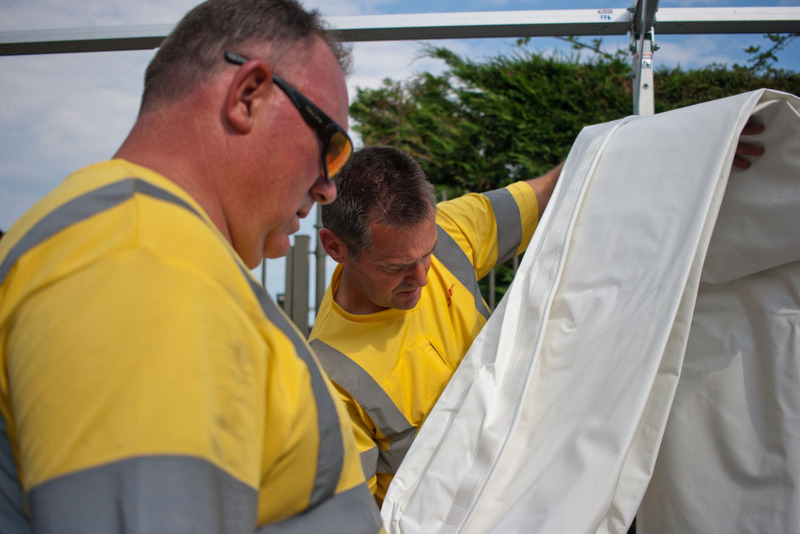 Not only were teams busy yesterday, putting the finishing touches to their motorhomes, DHL’s crew were also in action in the paddock, working on their hospitality suite. 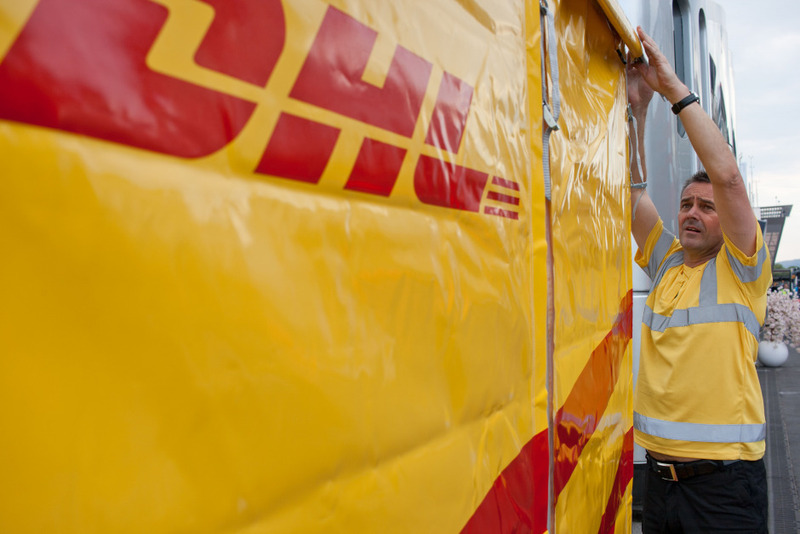 We watched them briefly as DHL Trackside Manager Martin Pople directed operations. 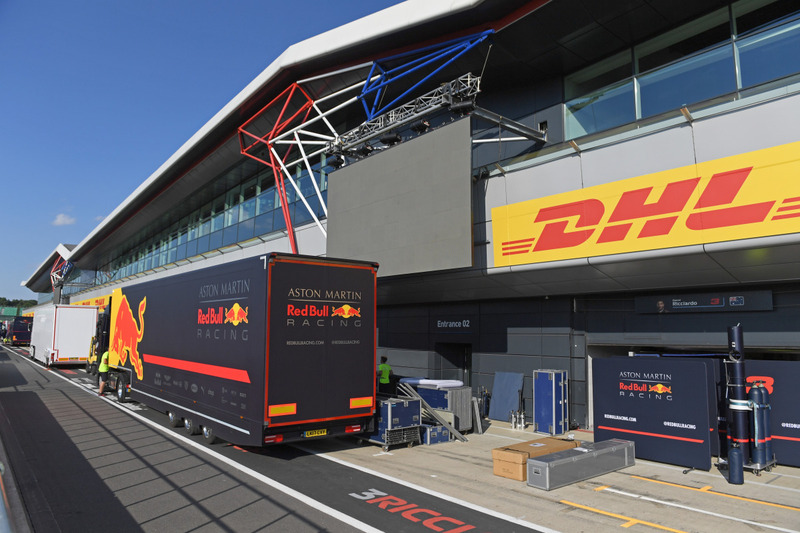 Initial preparations for this triple header, began in November of last year for DHL when the staff plan for 2018 was first drawn up. 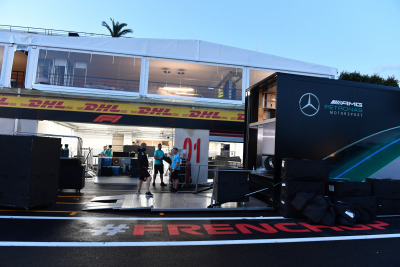 As a rule, firm planning for races in Europe usually begins two months in advance with the exception of Monaco where a lead time of three to four months is required due to the event’s special nature. Planning for overseas races is generally done three months beforehand. 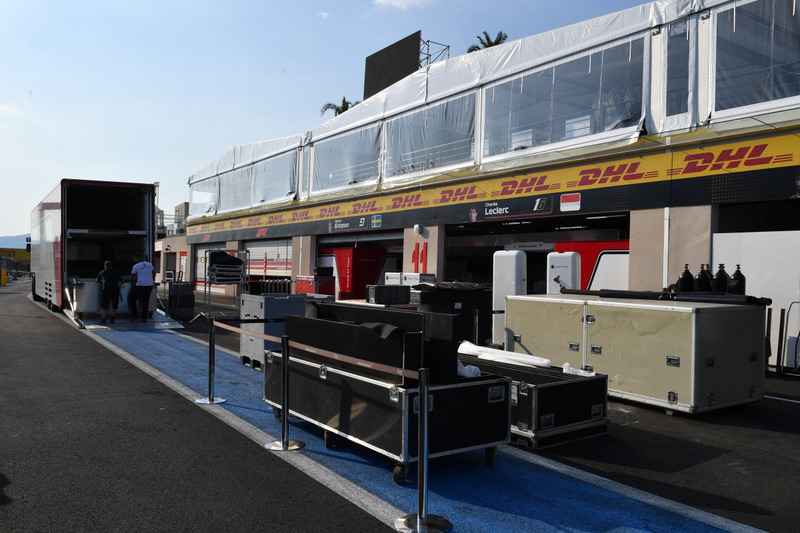 Work on setting up the garages for the French GP at Le Castellet will be completed by the end of today. 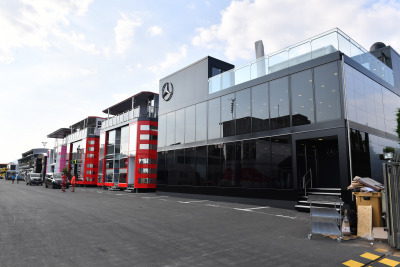 Thursday will be a very busy day at the track, with the drivers in attendance for Media Day, at which they will be answering questions from the press. Equipment will continue to be delivered right up until Saturday night before the race. 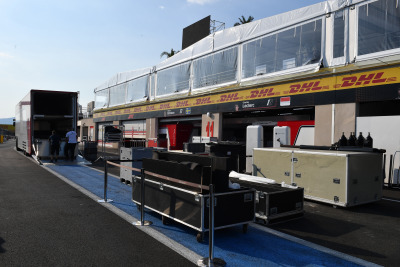 So that teams have the quickest possible access to new parts, vans are constantly scurrying between factories in England or Italy and the racetrack. While the final touches are being applied ahead of the French GP, initial preparations have already begun for the Austrian GP ​​which takes place only one week after the race at Le Castellet. Today, the first trucks are leaving team headquarters with materials for construction and assembly work on the paddock and garages at Spielberg, where they will arrive this weekend. 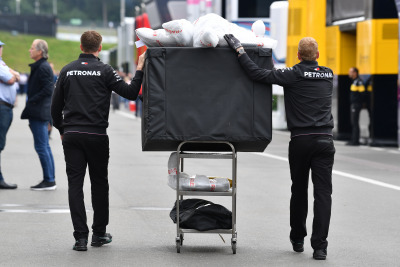 Because the triple header imposes such a tight schedule, the teams are using one of their flyaway race kits at the Austrian GP. A number of the trucks that are currently in use at Le Castellet will therefore "leapfrog" Spielberg and proceed directly to Silverstone after the French GP. 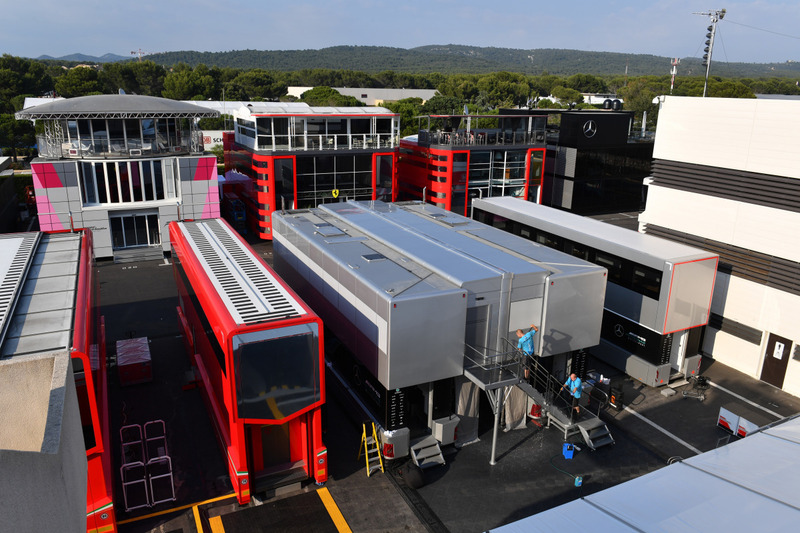 Welcome to Le Castellet! On Sunday, France will be hosting its first Grand Prix in ten years. The race on the Cote d’Azur is also the first of a historic triple header for Formula 1, followed on successive weekends by the Austrian GP and British GP. 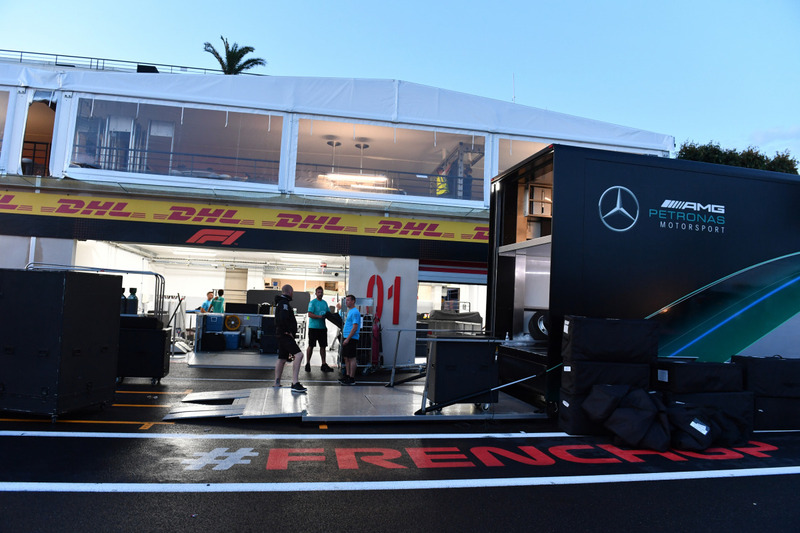 A sequence of three back-to-back races represents an enormous challenge for the entire paddock, and in our DHL diary, we’ll be taking a look behind the scenes. 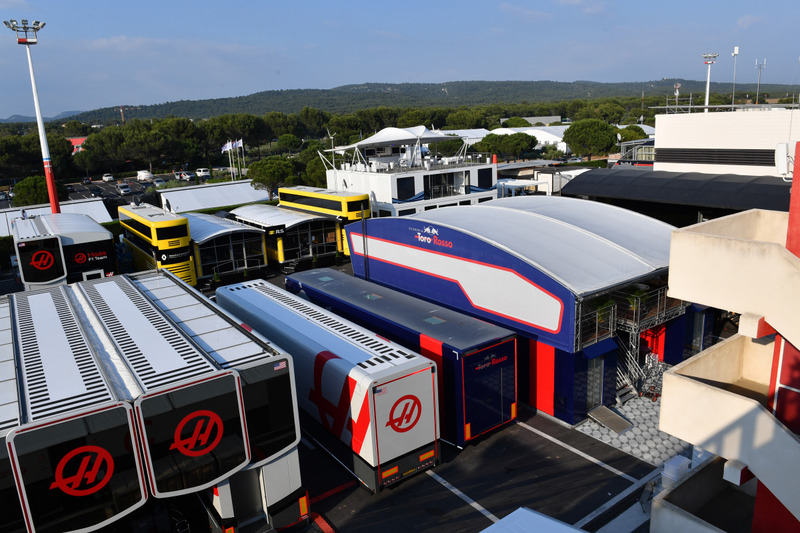 Today, we are five days away from the race itself, which is why the preparations at the Circuit Paul Ricard are already in full swing. 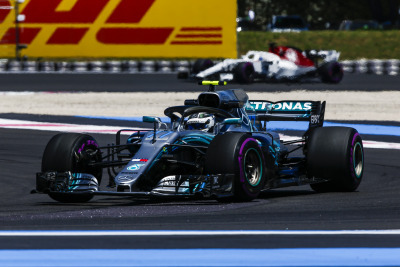 The last time that Formula 1 visited Le Castellet was in 1990, so for everyone concerned, this is pretty much uncharted territory. 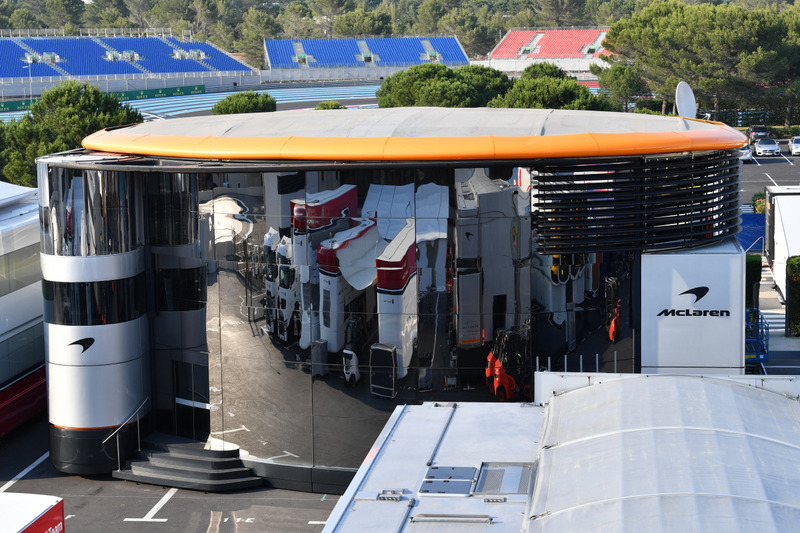 Below you will find the first photos of the refurbished 5.84km track which has hosted the French GP on 14 occasions. 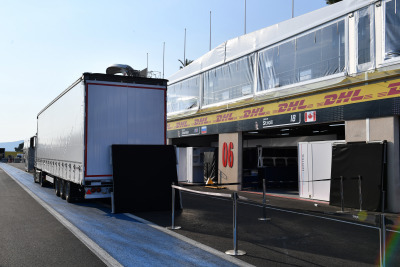 The first trucks containing team, media and broadcast equipment arrived in Le Castellet last Friday; the fuel for the cars contesting the revived French Grand Prix is due to arrive today. 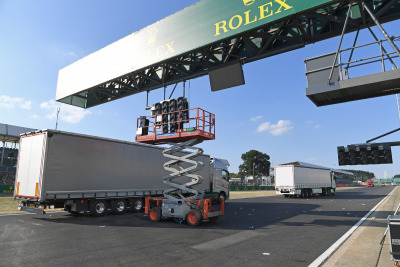 For Formula 1 races within Europe, transport is exclusively by land, whereas overseas races require the use of five Boeing 747s and between 40 and 70 sea freight containers, each weighing 30 tonnes. Around 1,000 trucks are deployed for the transport of consumables and equipment from track to track on behalf of the teams, the FIA and the media. Although the first day out on track for the drivers in France will be Friday, planning for the Austrian GP on the following weekend is already at an advanced stage. 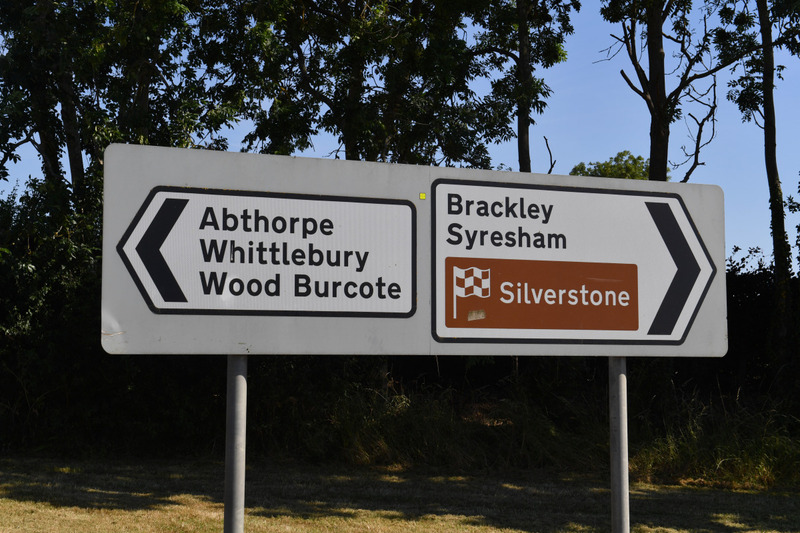 You can read about that in tomorrow’s diary.